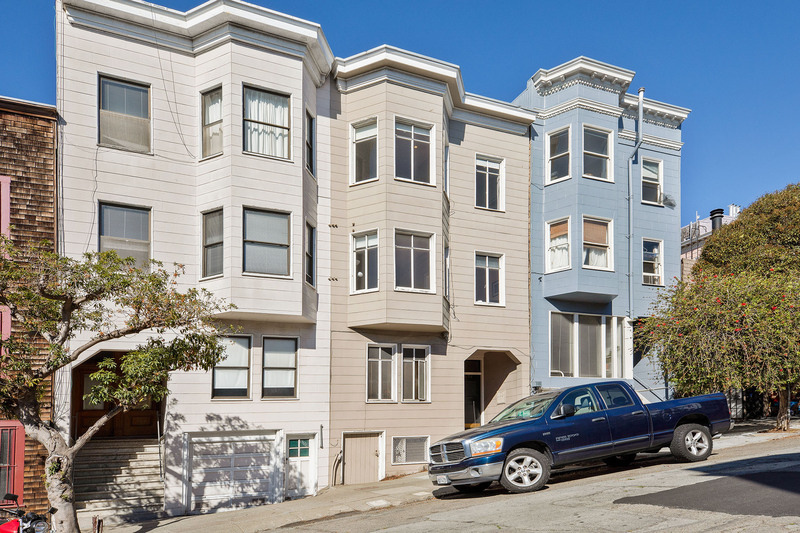 This classic three-unit Edwardian building is located in the heart of Telegraph Hill, on one of San Francisco's famous seven hills. 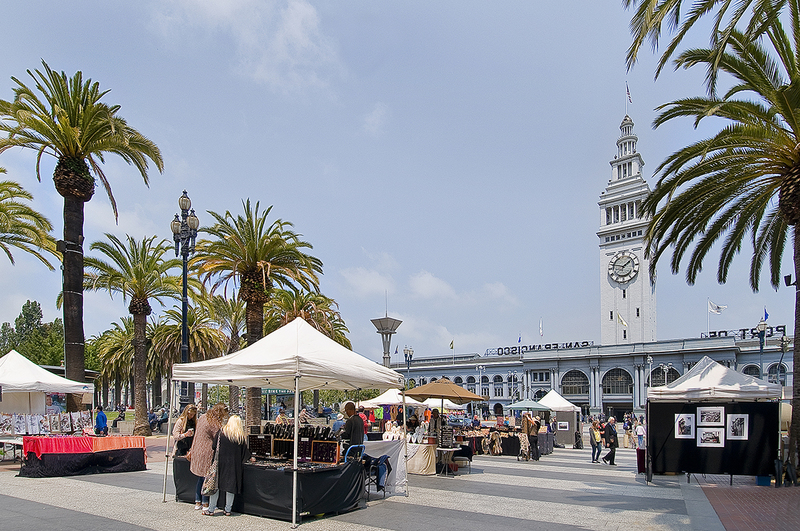 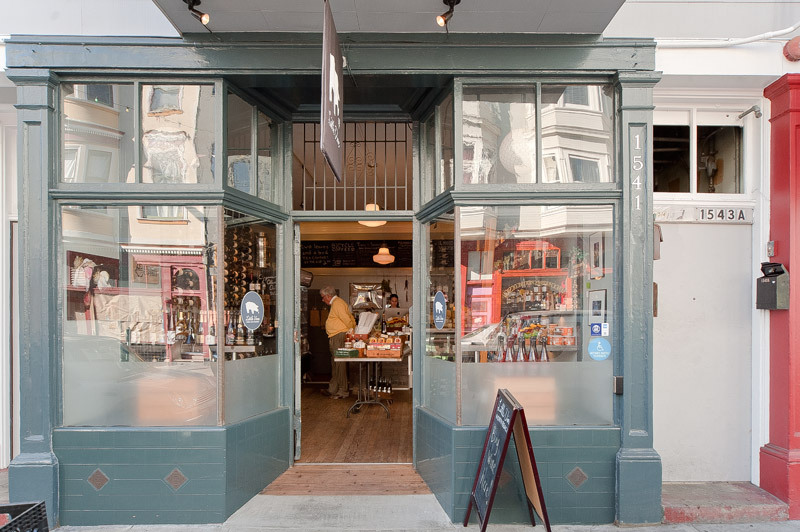 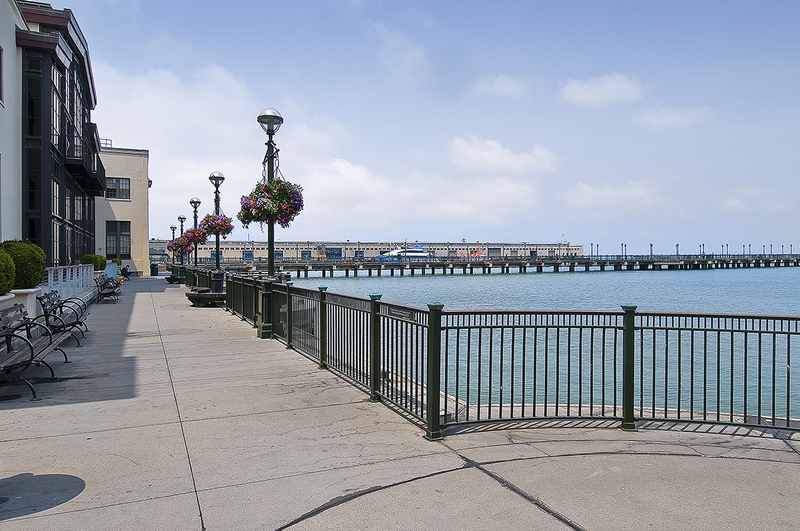 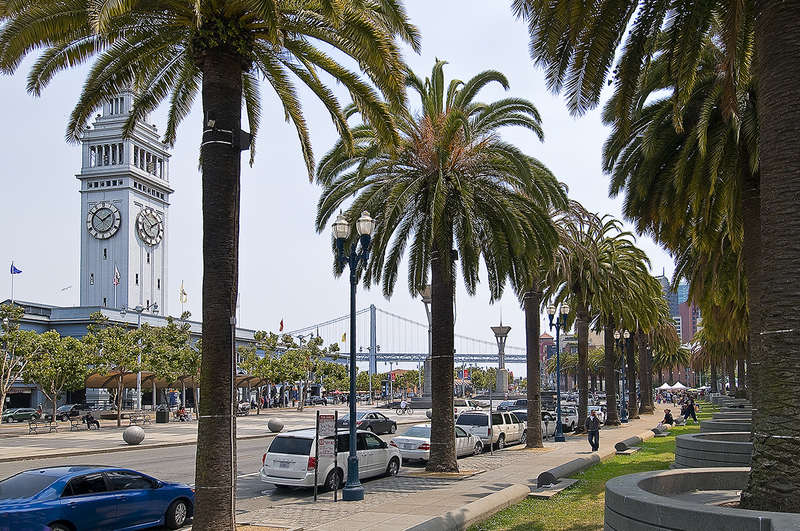 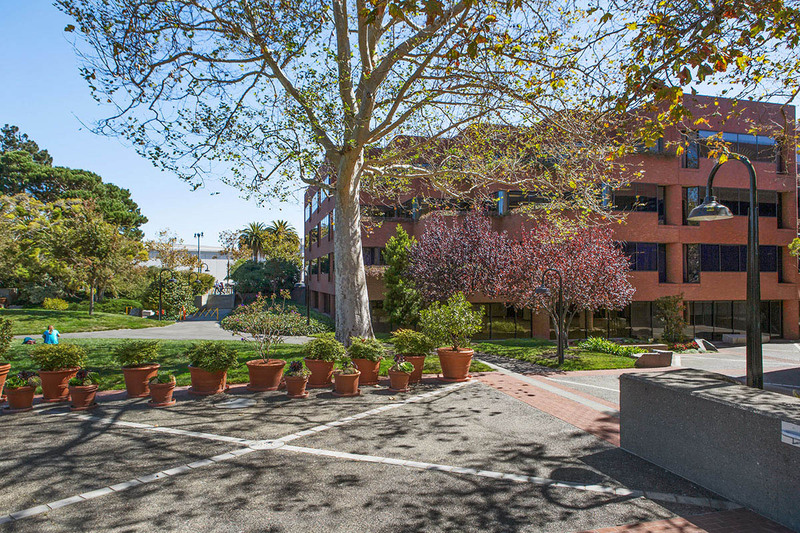 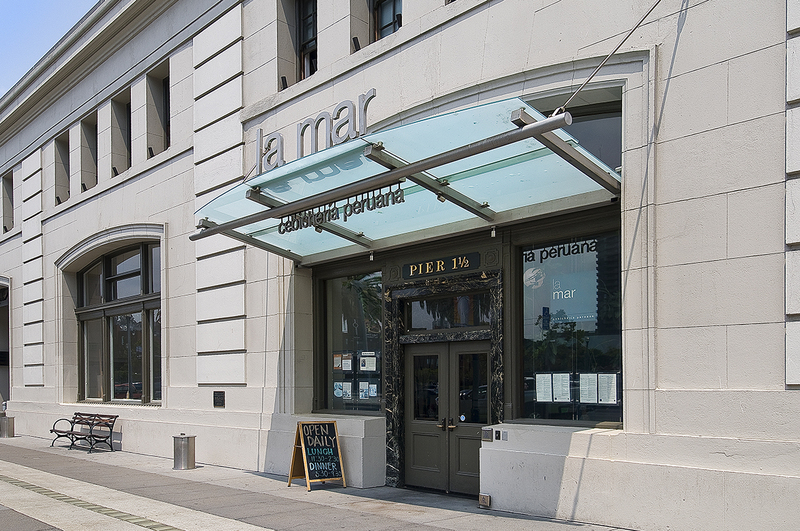 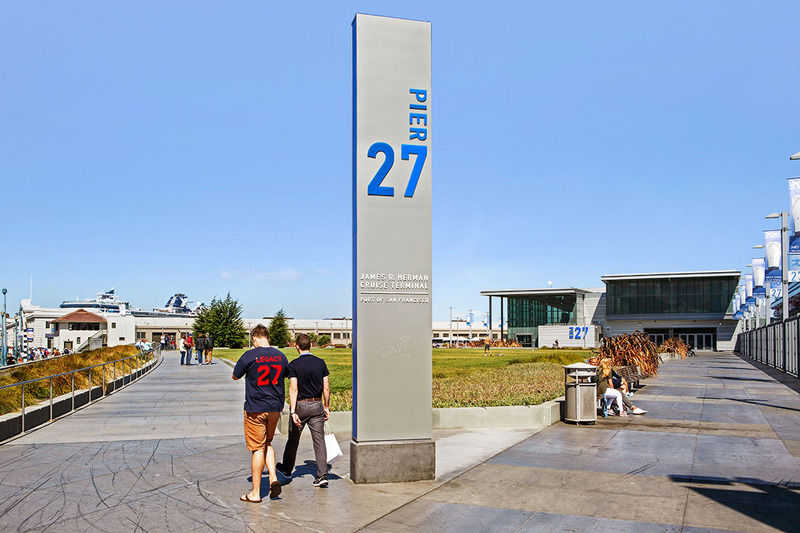 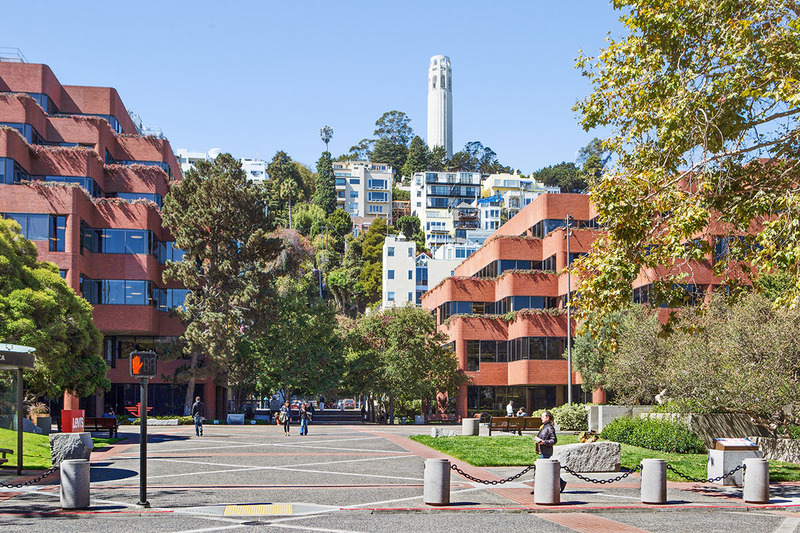 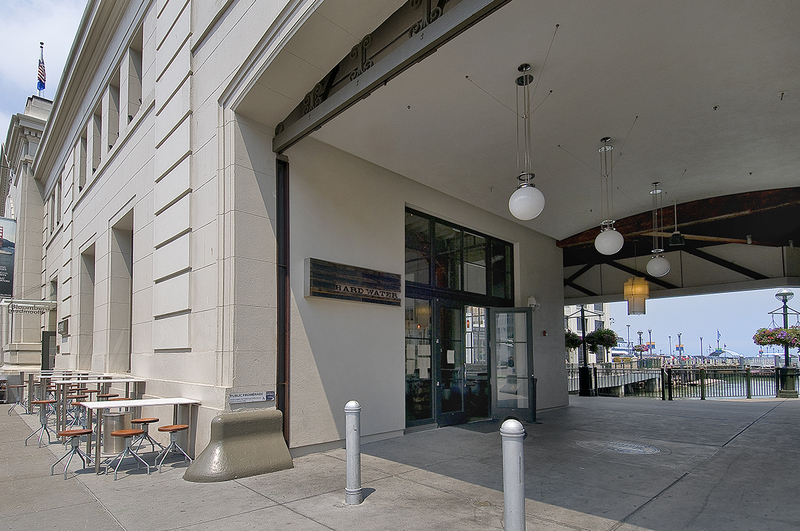 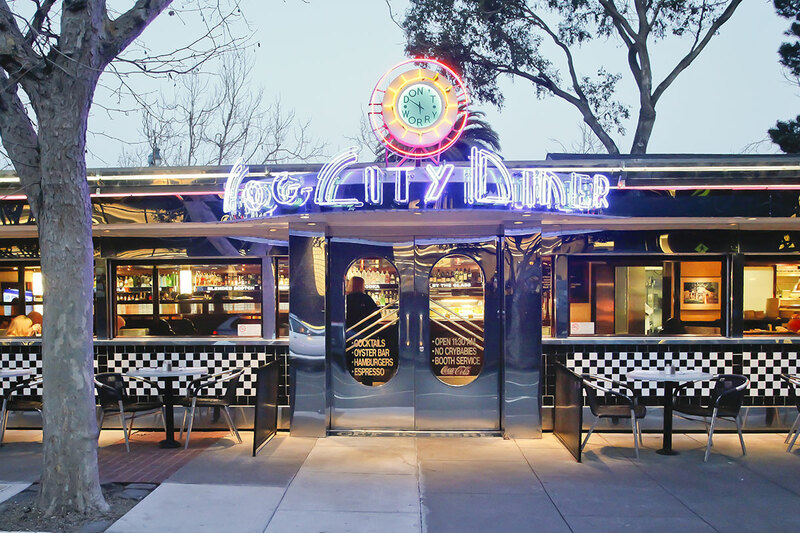 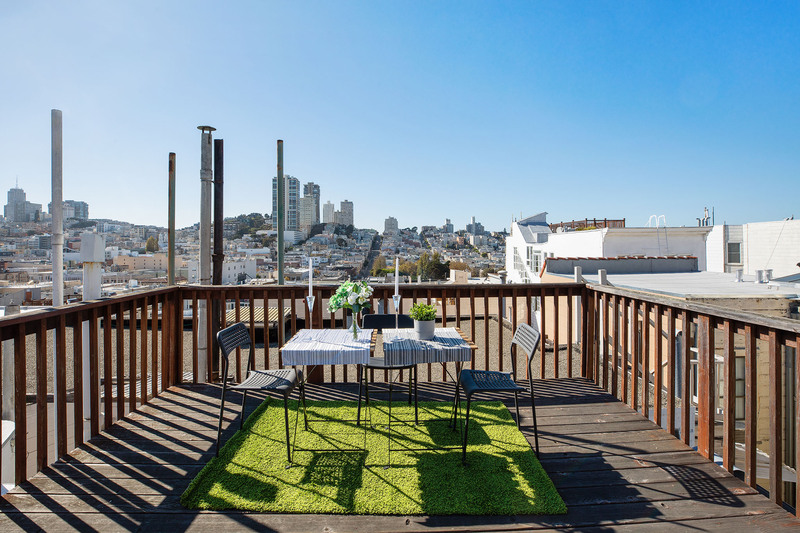 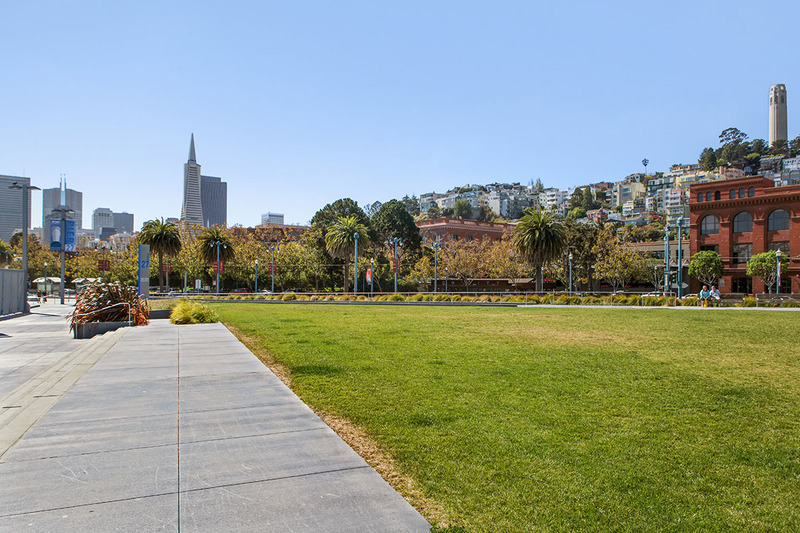 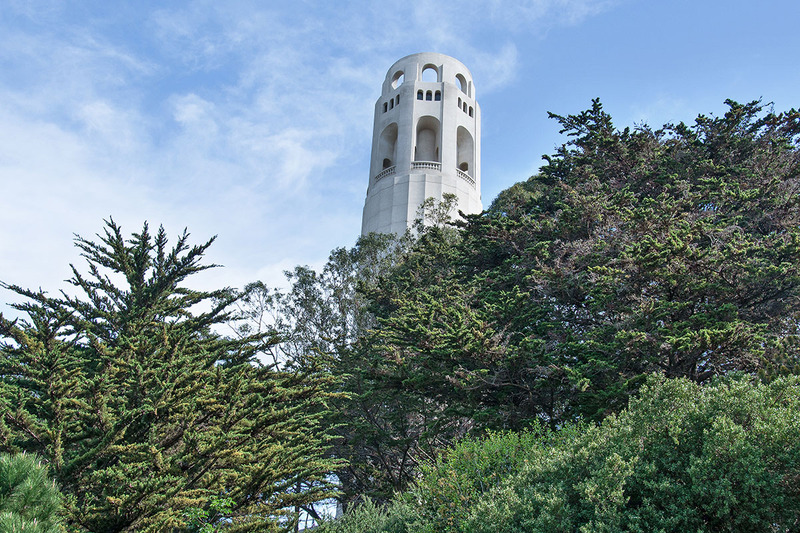 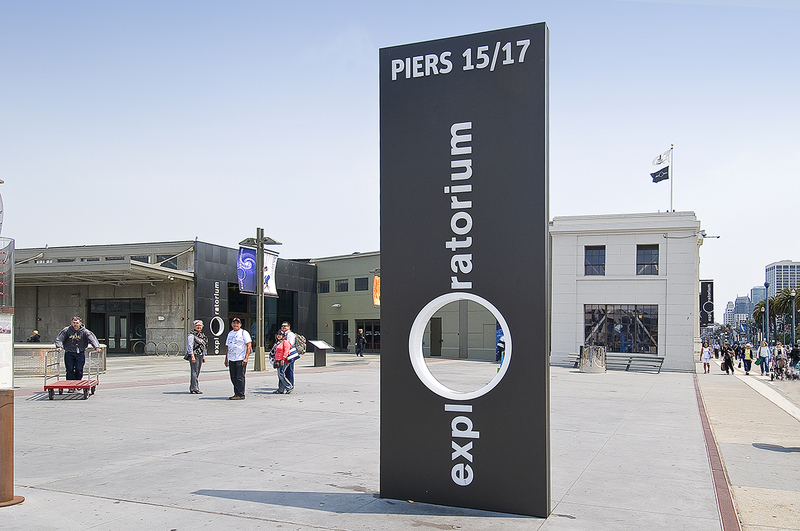 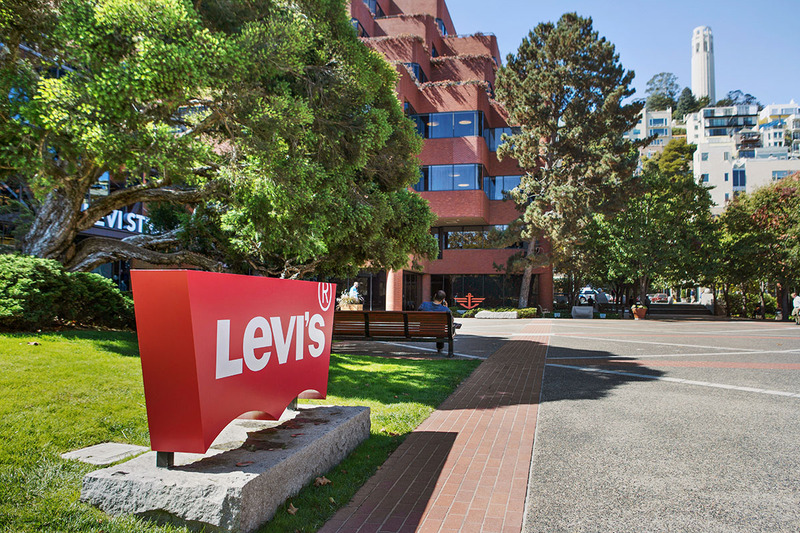 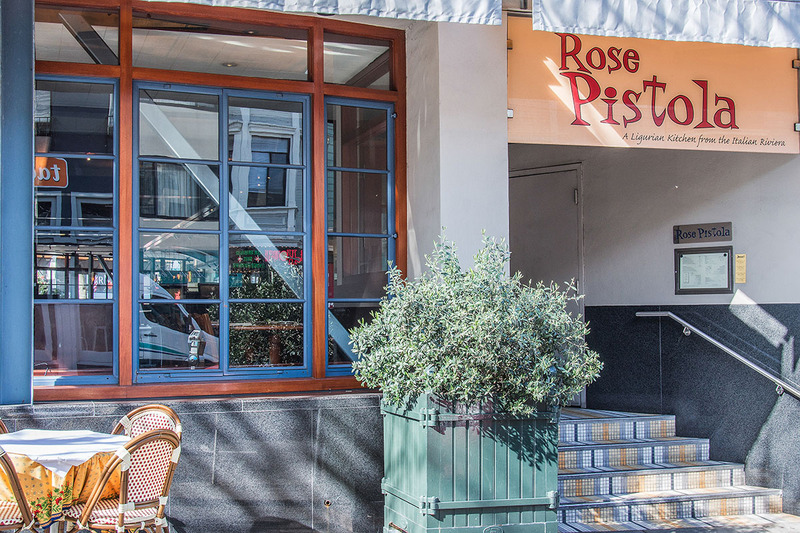 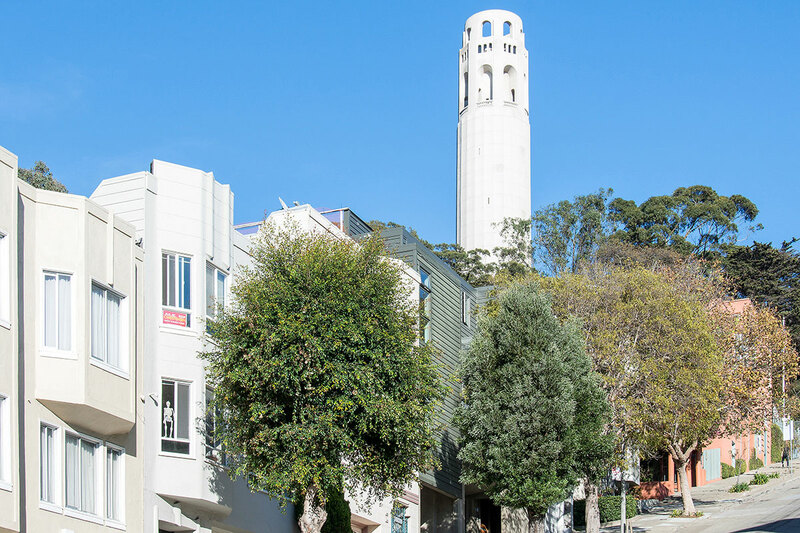 Steps from the City's most fashionable boutiques, restaurants, and cafes, Coit Tower, Filbert Steps, and North Beach. 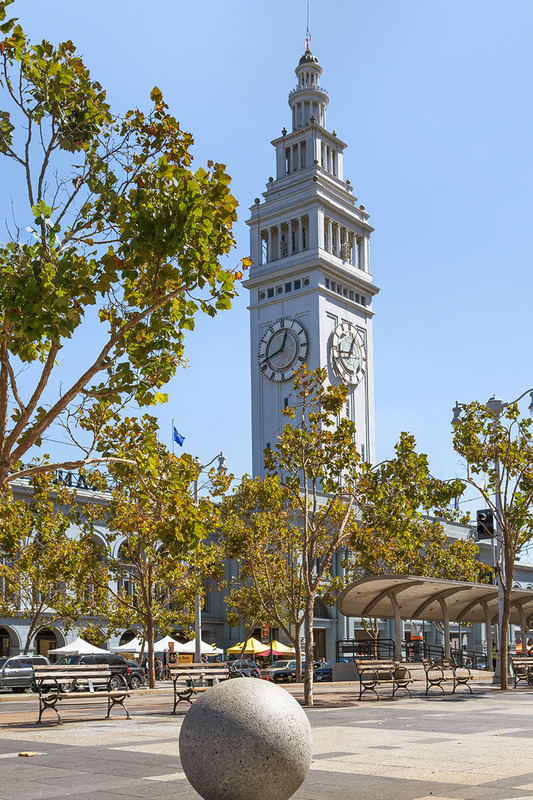 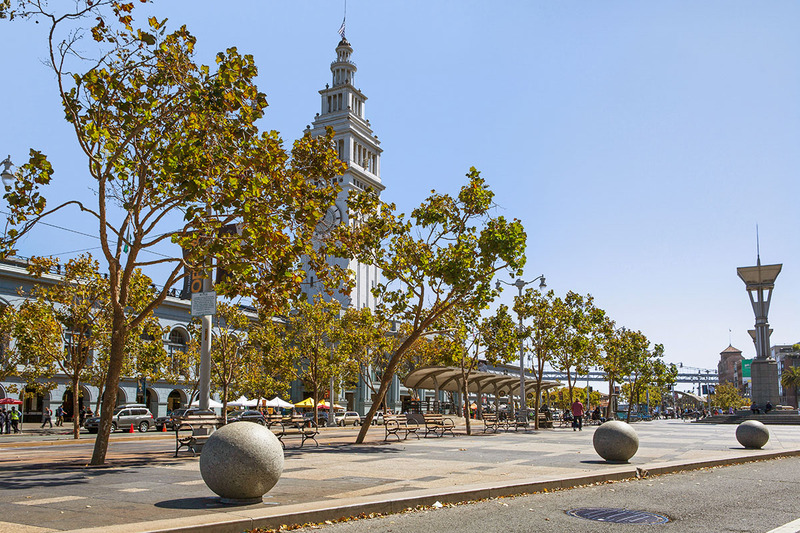 Easily walkable to China Town, Fisherman's Wharf, Pier 39, Embarcadero, the ever so chic Columbus Avenue and Financial District. 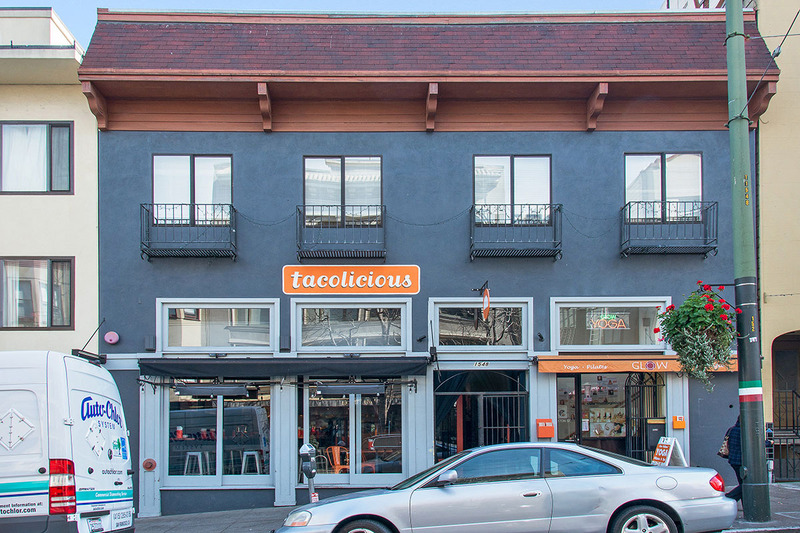 Building has two frontages. 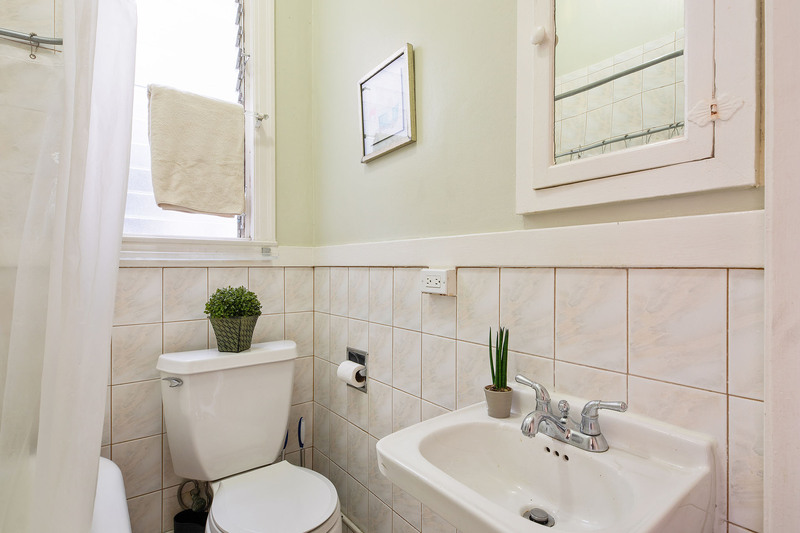 Separate electrical and gas meters for each unit create the perfect partnership opportunity such as TIC. 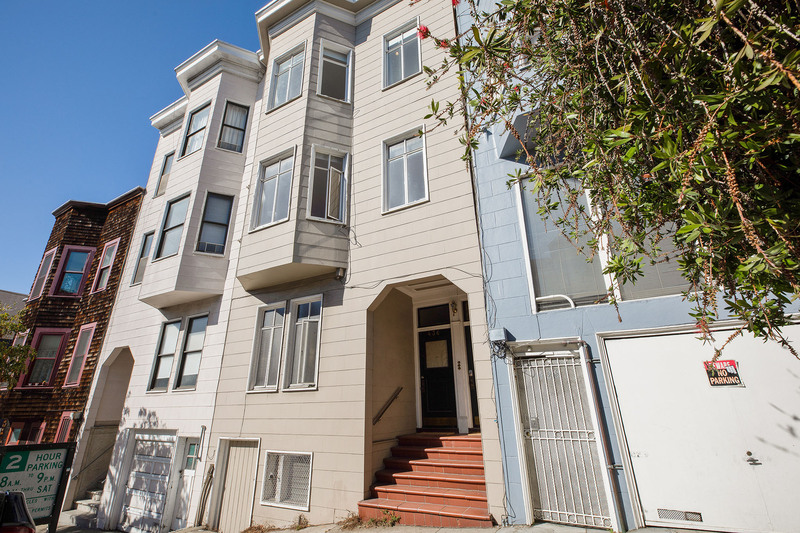 No history of OMI or Ellis Act/Evictions. 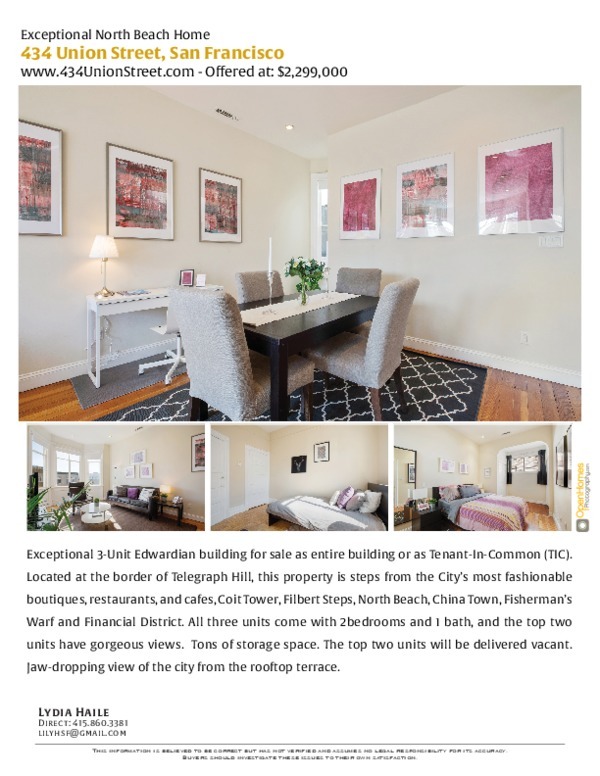 A well-maintained property, excellent owner occupier opportunity or buy one unit for a new TIC (Tenant-In-Common) formation. 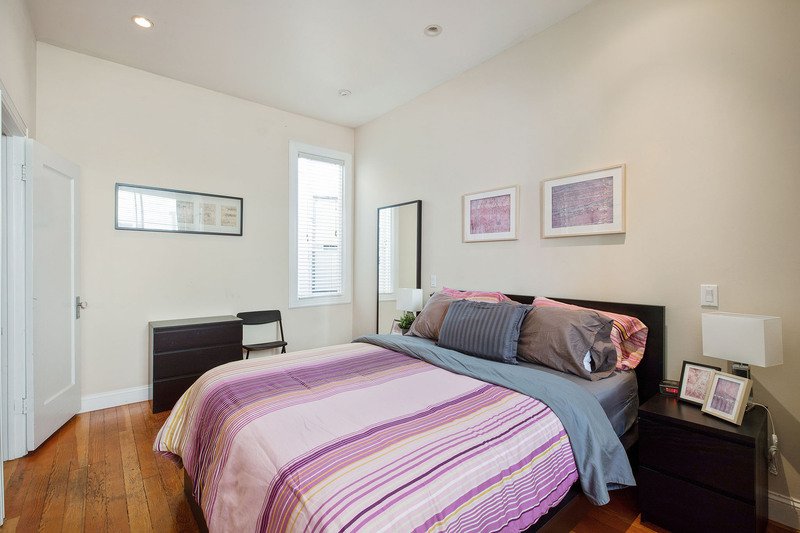 Top two units will be delivered vacant and are currently enjoying market-rate rental income. 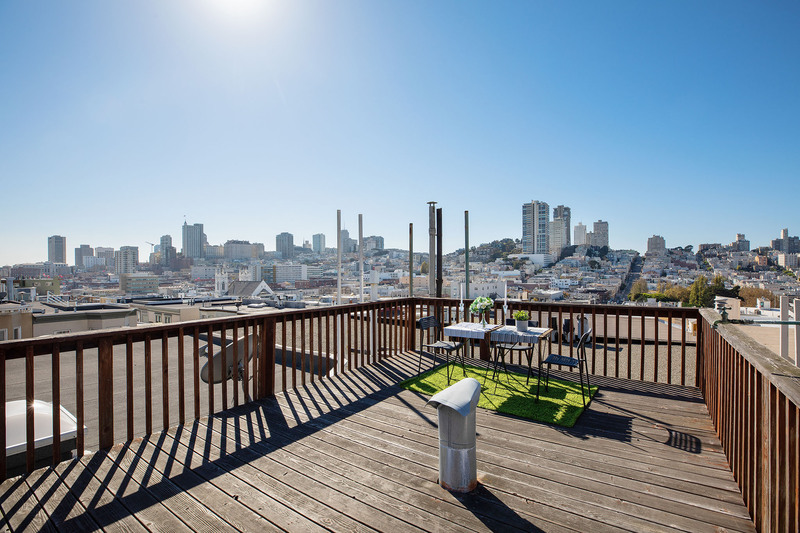 Amazing roof top terrace and a jaw-dropping views of the city. 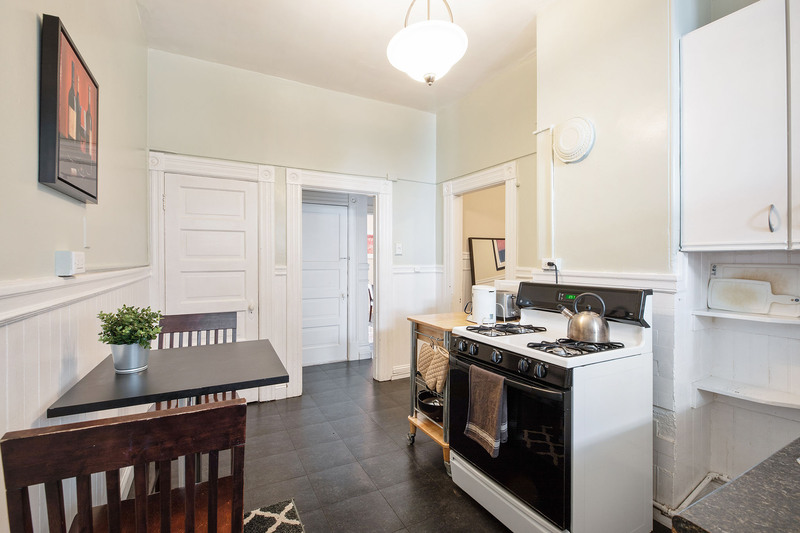 Roof newly maintained, common area freshly painted, hallway carpet replaced few years ago. 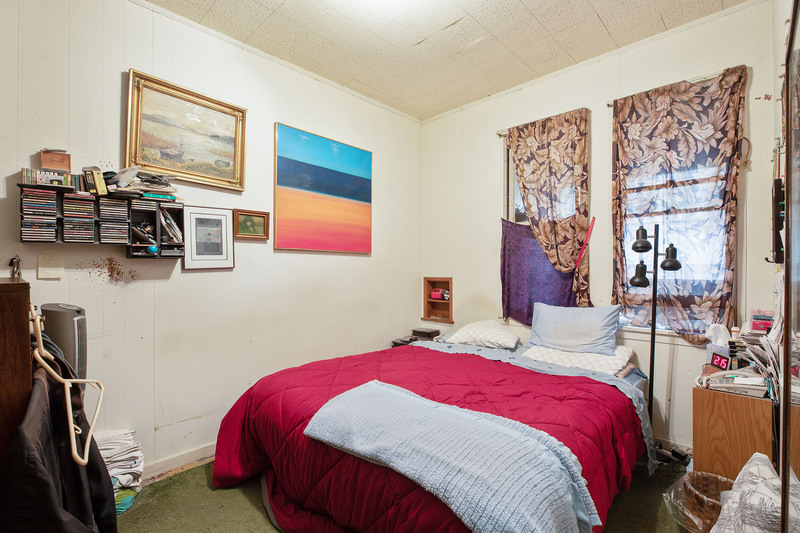 Basement has two large storage space, one rents for $650 a month. 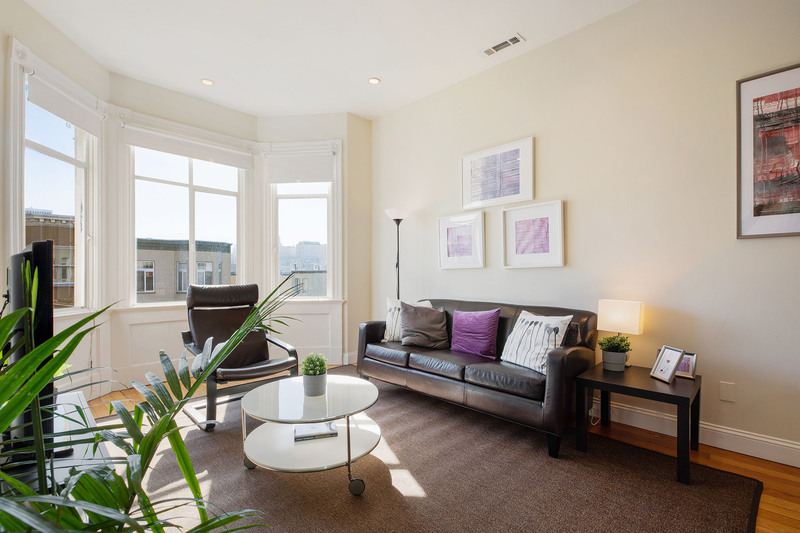 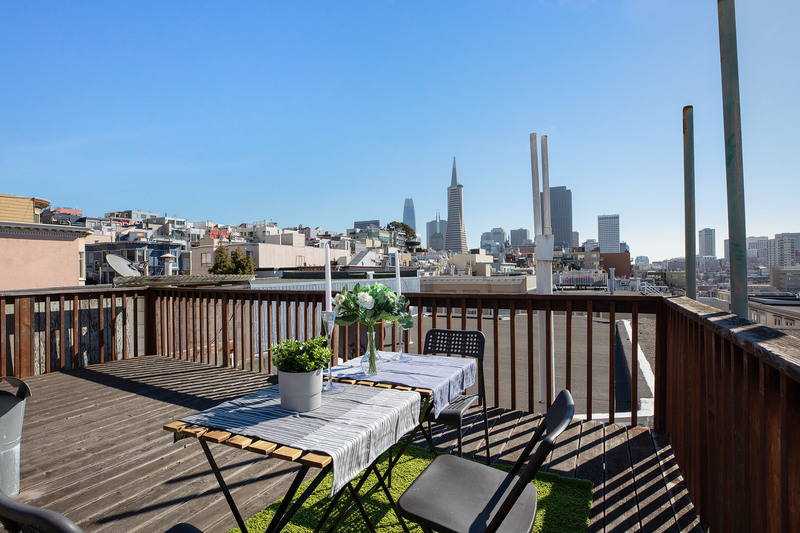 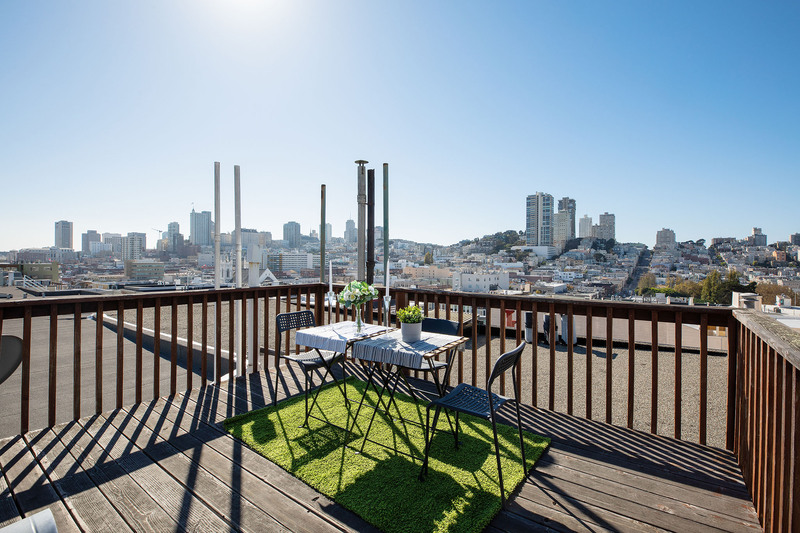 434 Union Street, Apartment B- is a spacious top unit with two 2bd, 1ba and an exceptional views of Transamerica Building, Salesforce Tower, Nob Hill and Russian Hill. 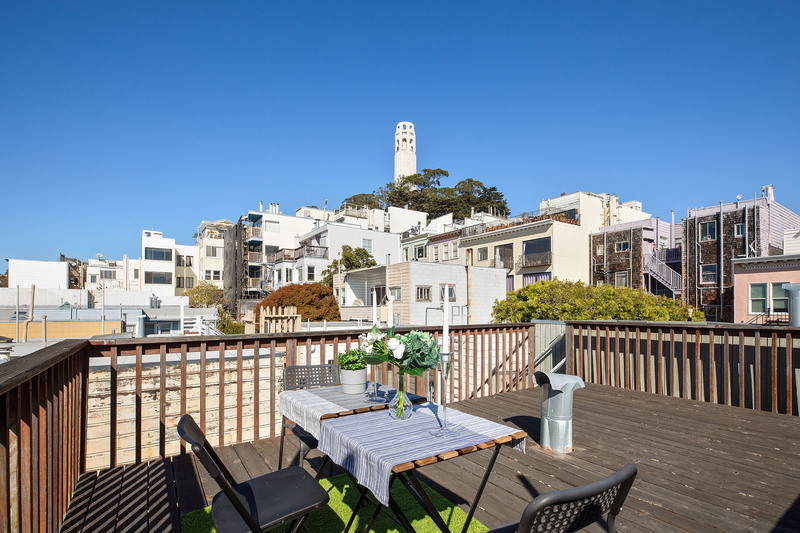 The large master bedroom has an exclusive view of Coit Tower. 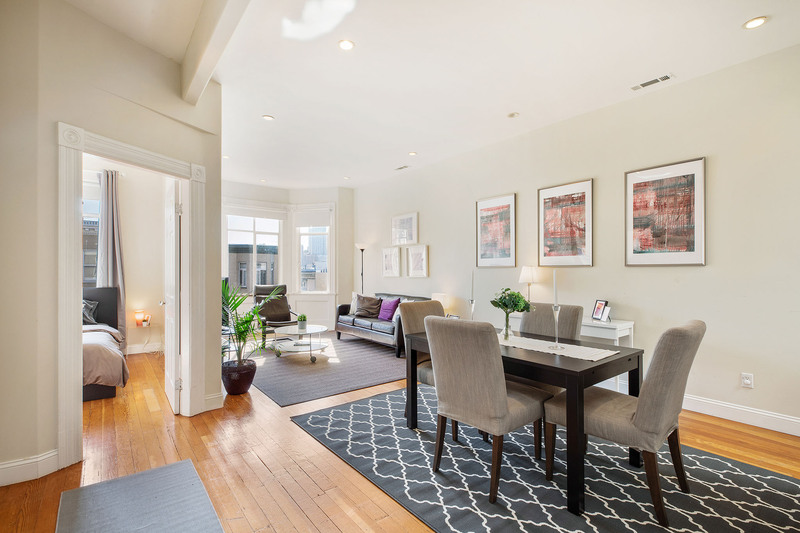 Expansive open floor plan combines living room and dining room and boasts high ceilings. 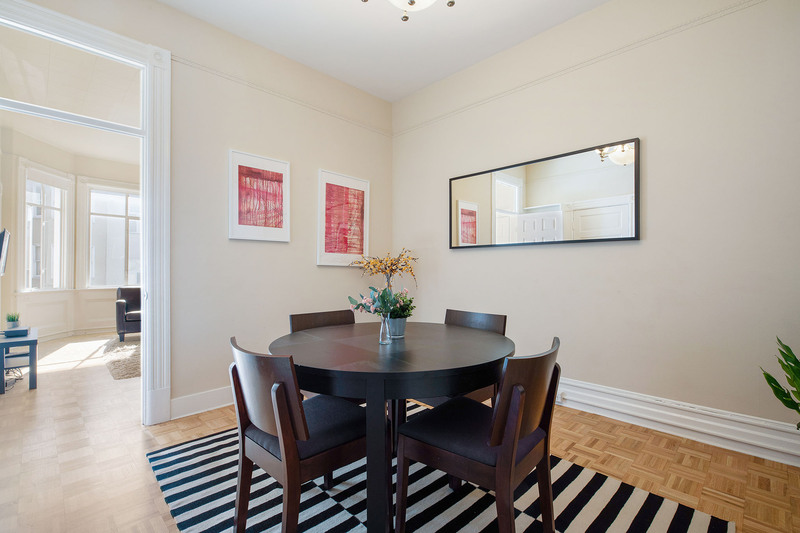 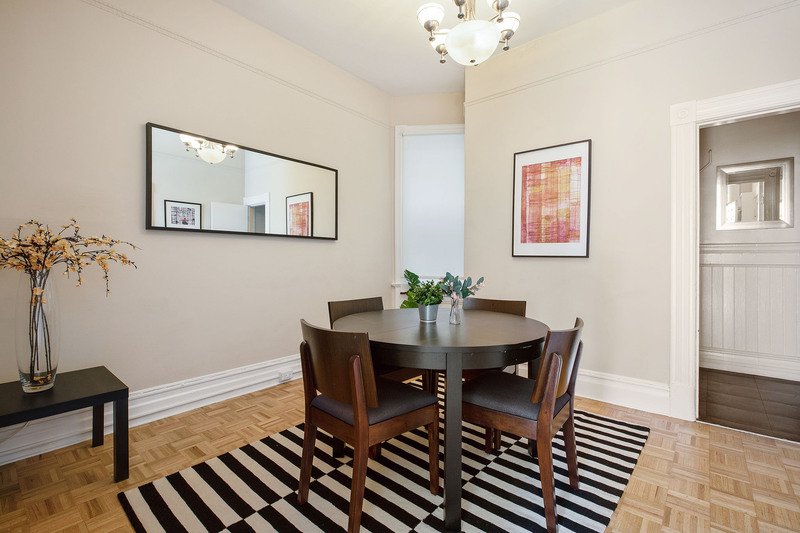 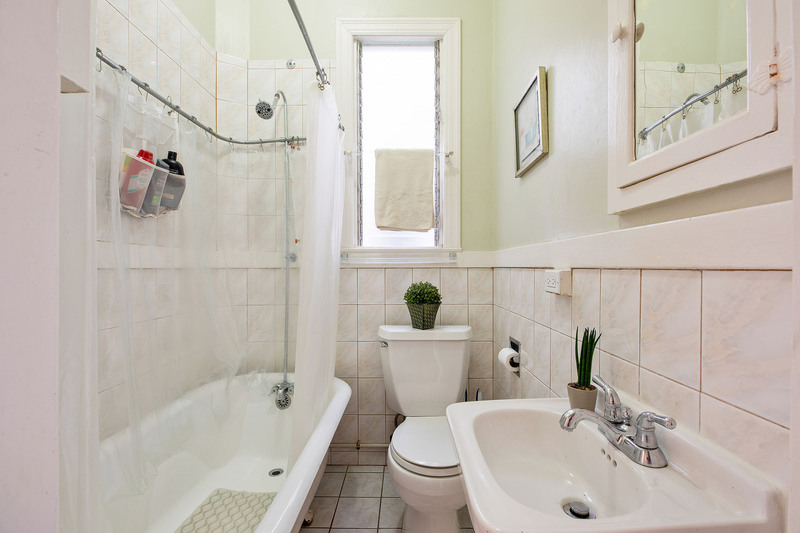 Original hardwood floors throughout, beautiful bay windows and period detail throughout. 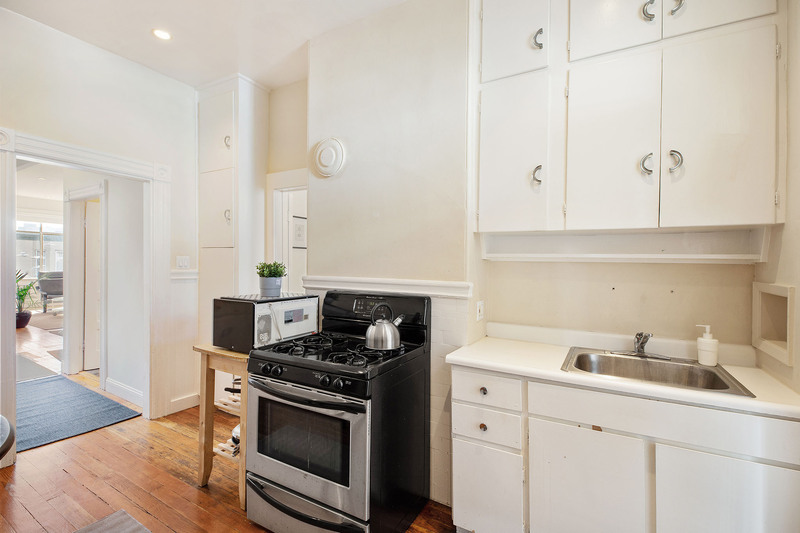 Separate and large original kitchen plus a remodeled bathroom. 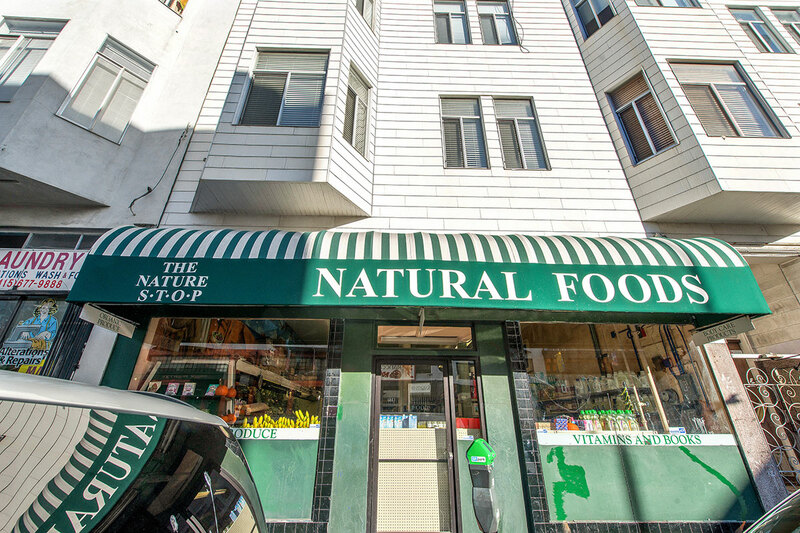 This vacant top unit is flooded with natural. 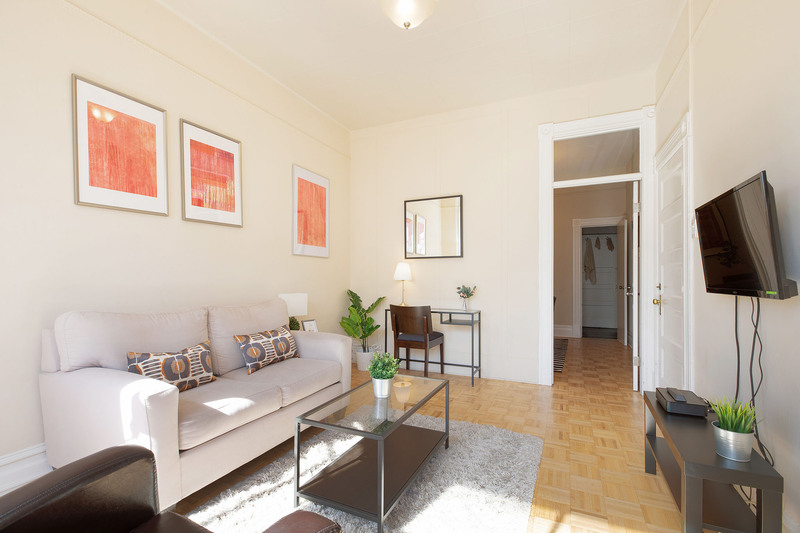 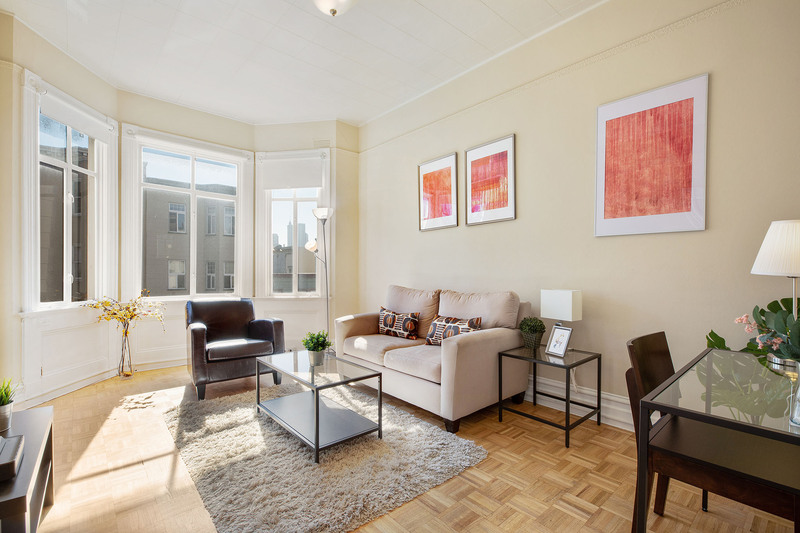 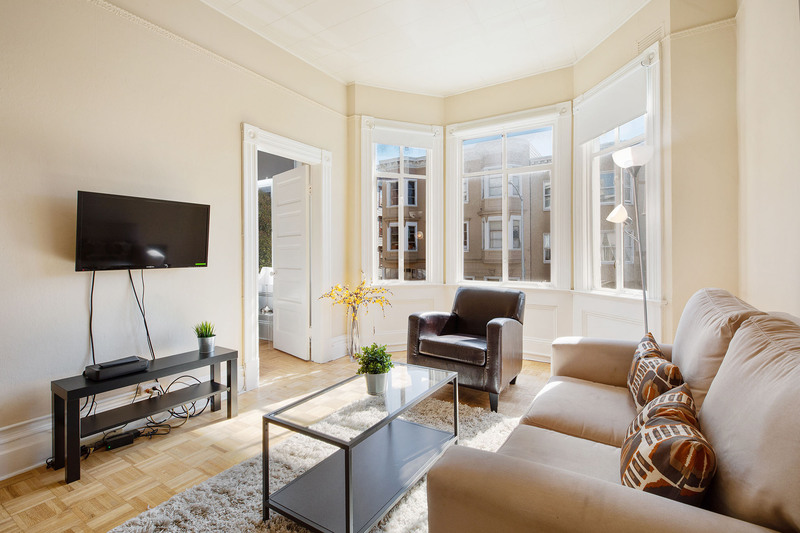 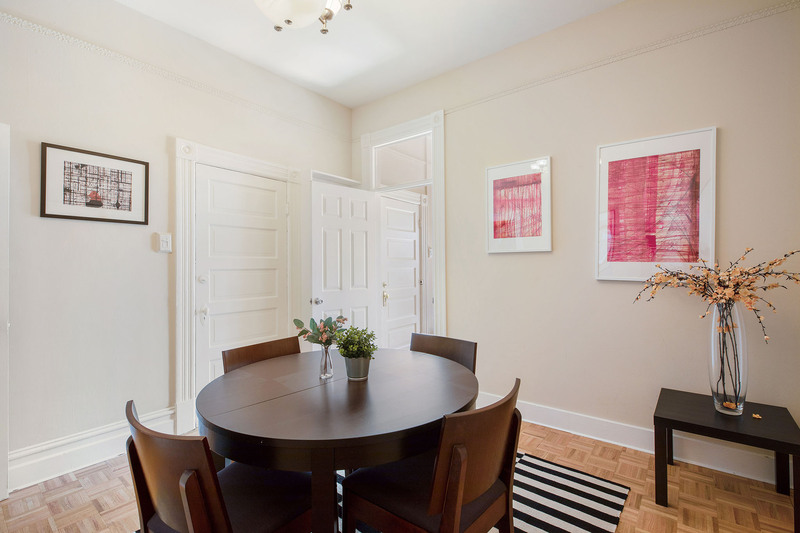 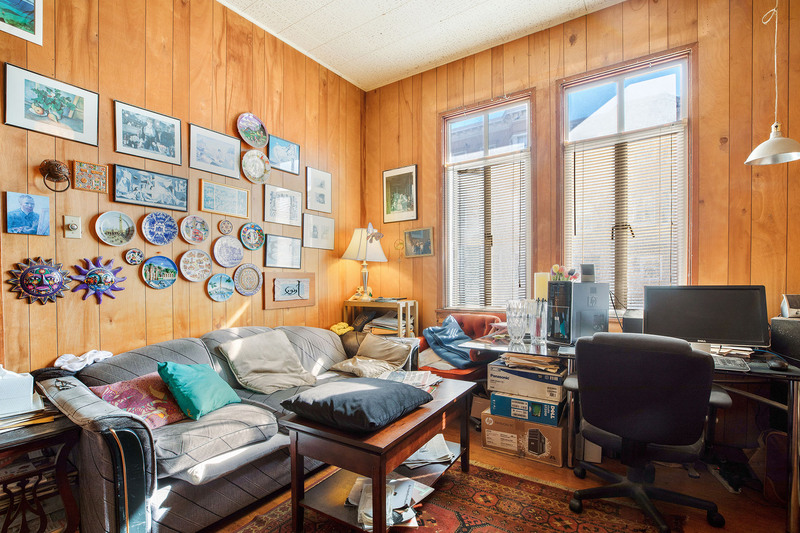 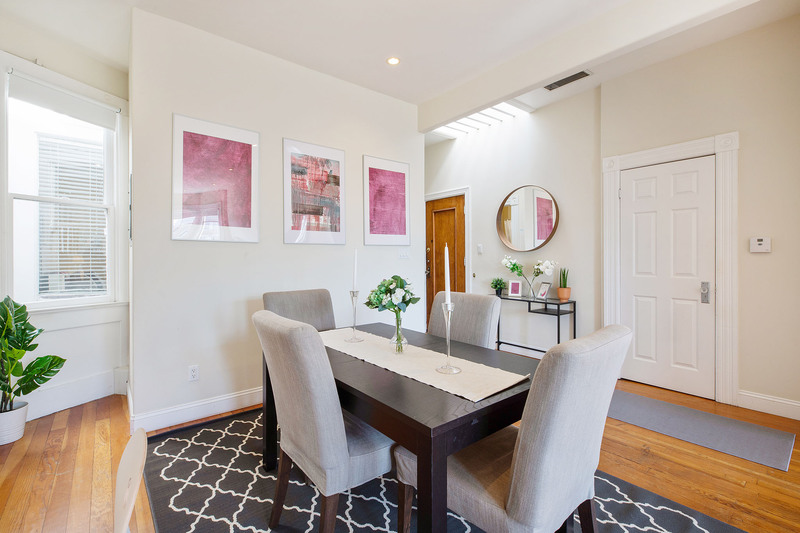 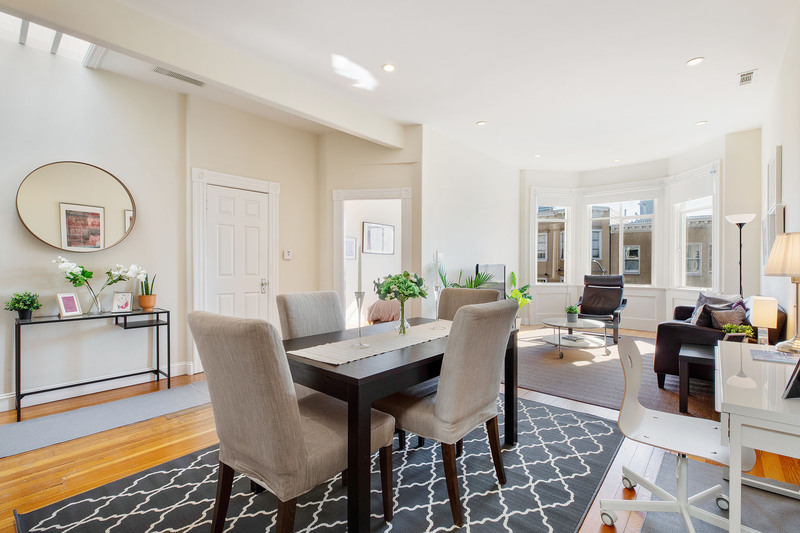 434 Union Street, Apartment A-This charming middle unit with its original Bay windows, features spacious 2bd,1ba, formal dining and formal living-room. 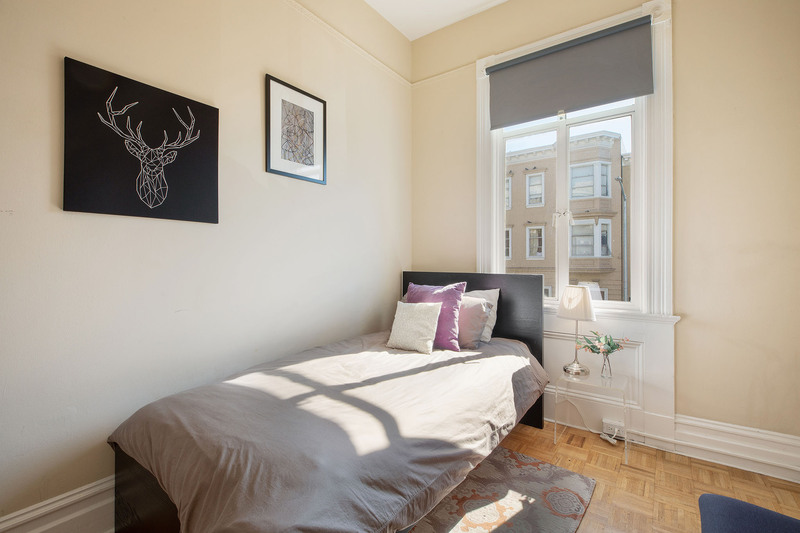 One of the bedroom faces South-East for maximum sunlight exposure with views of Nob Hill and Russian Hill. 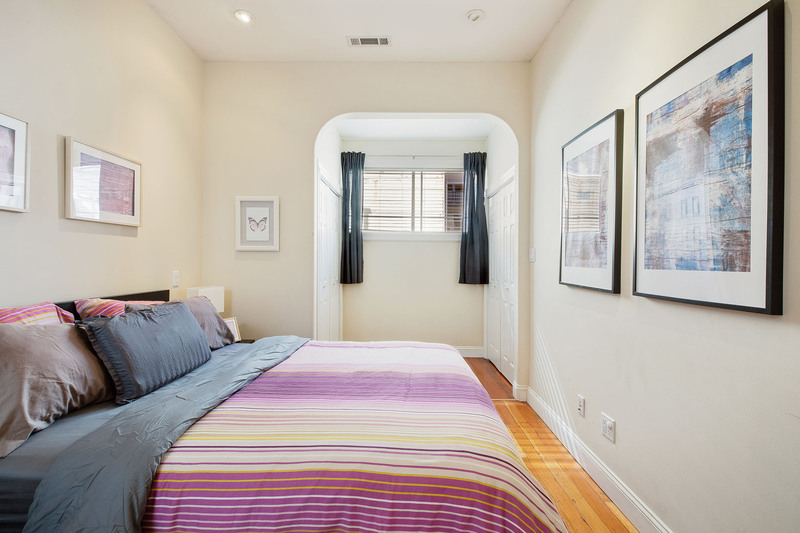 The large master bedroom faces the quiet back of the building. 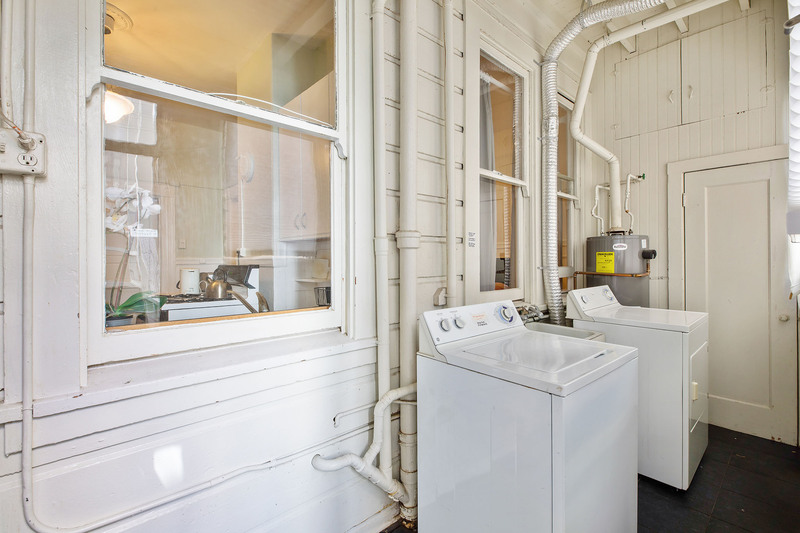 Kitchen is separate and leads to a laundry room, with washer and dryer. 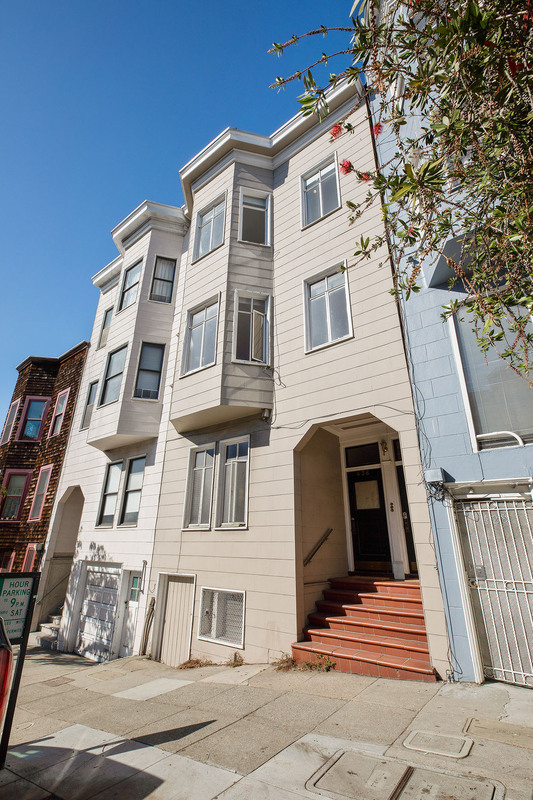 It’s currently rented for $6200 a month and will be delivered vacant. 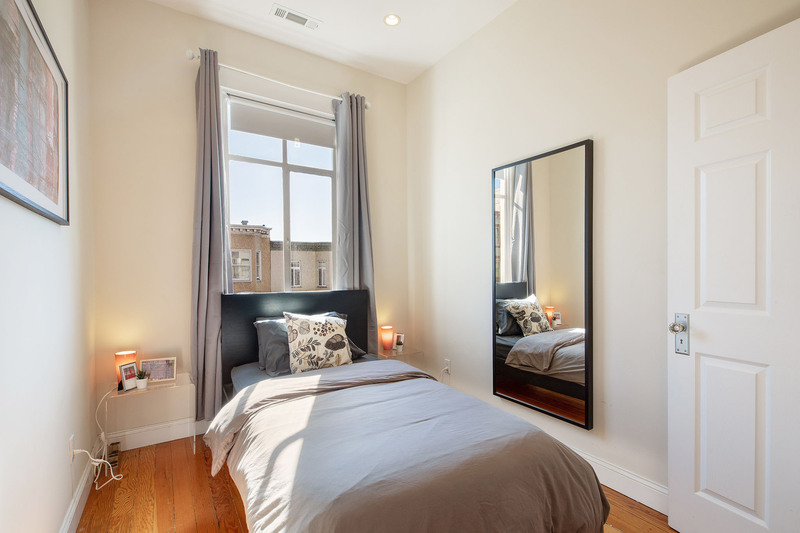 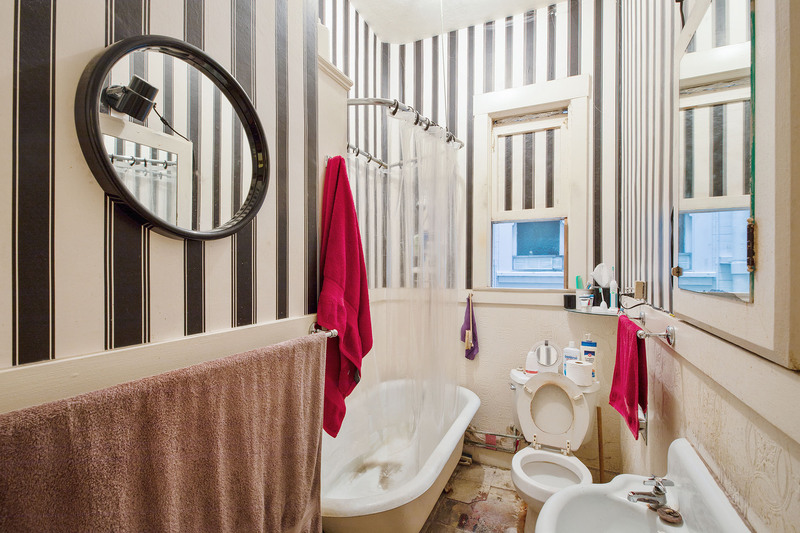 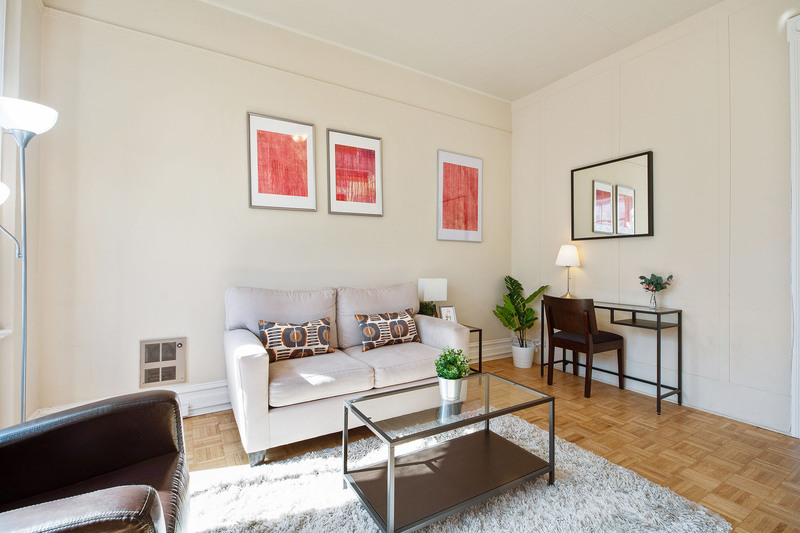 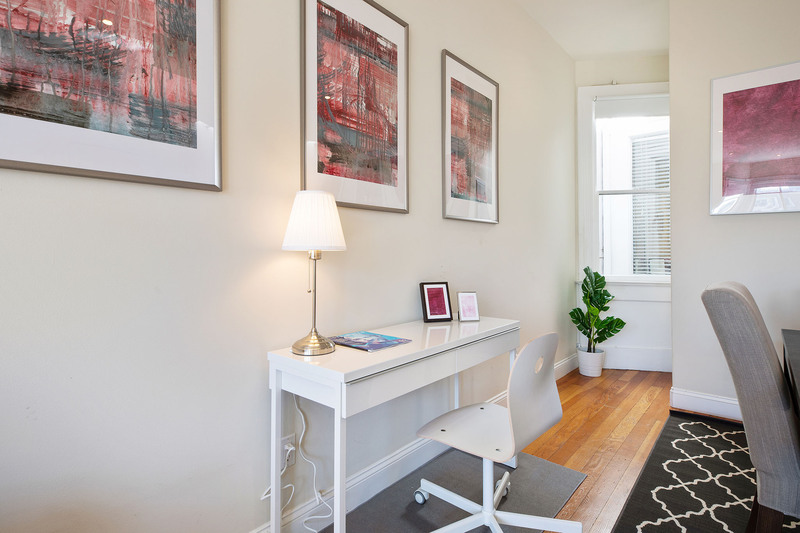 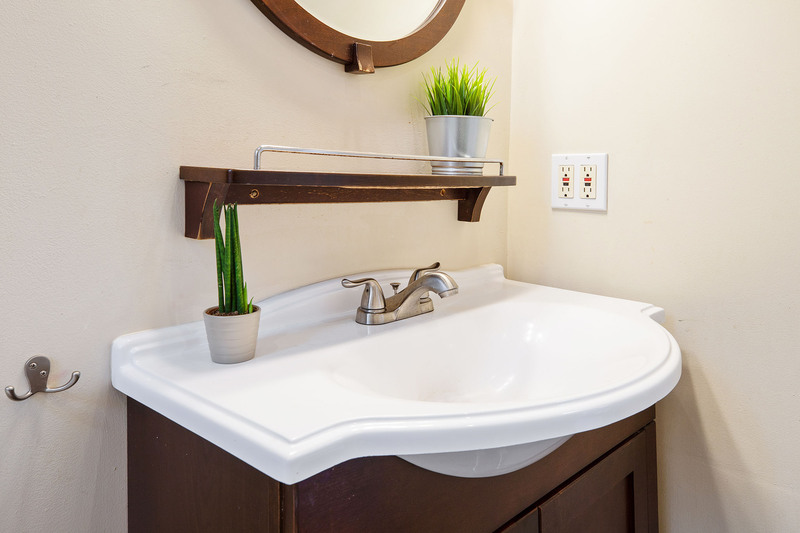 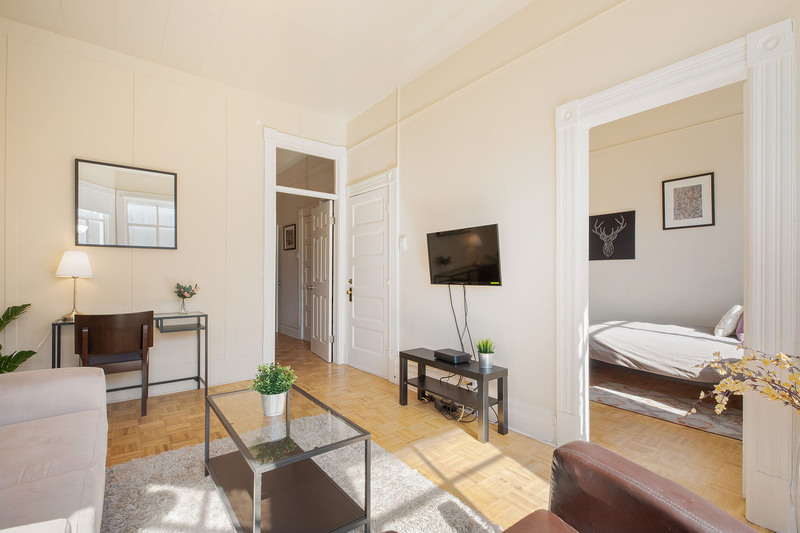 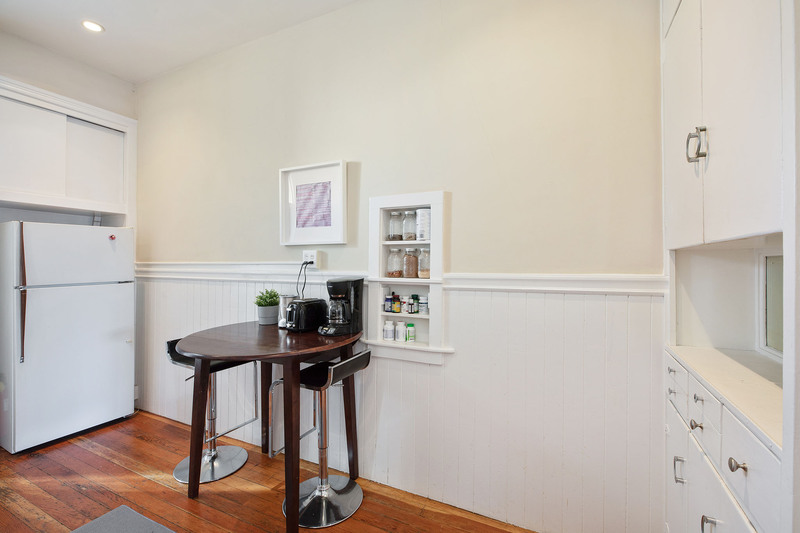 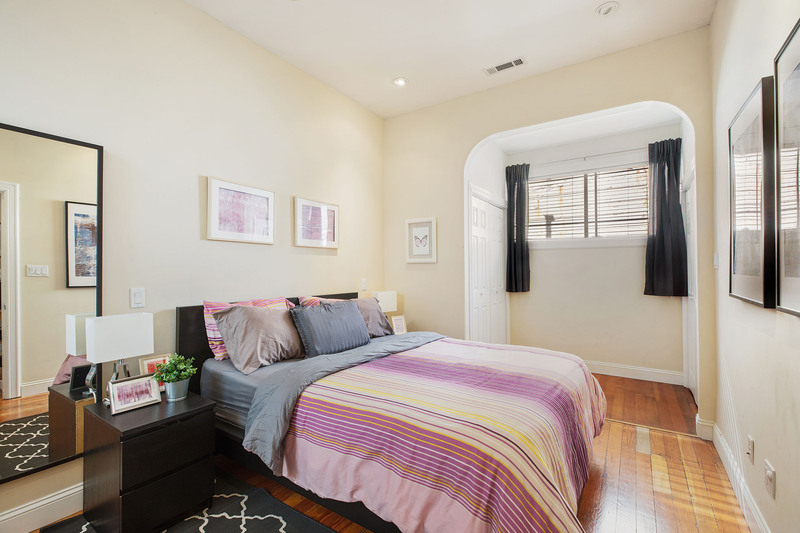 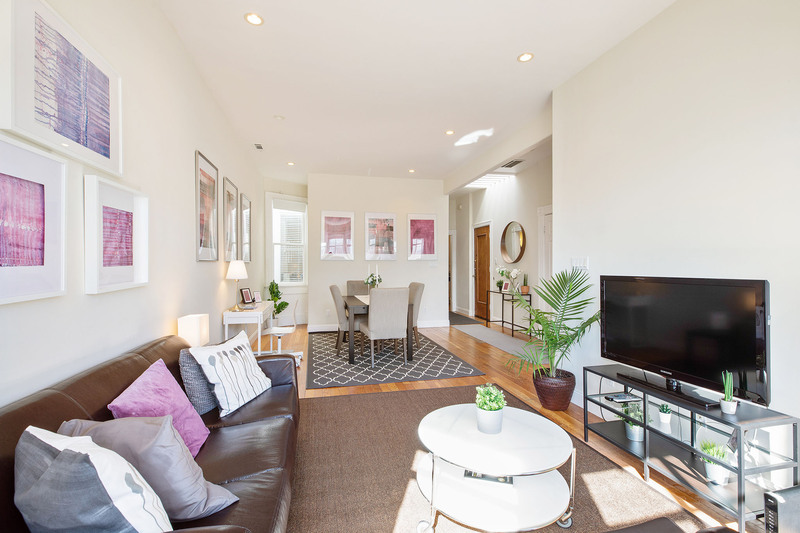 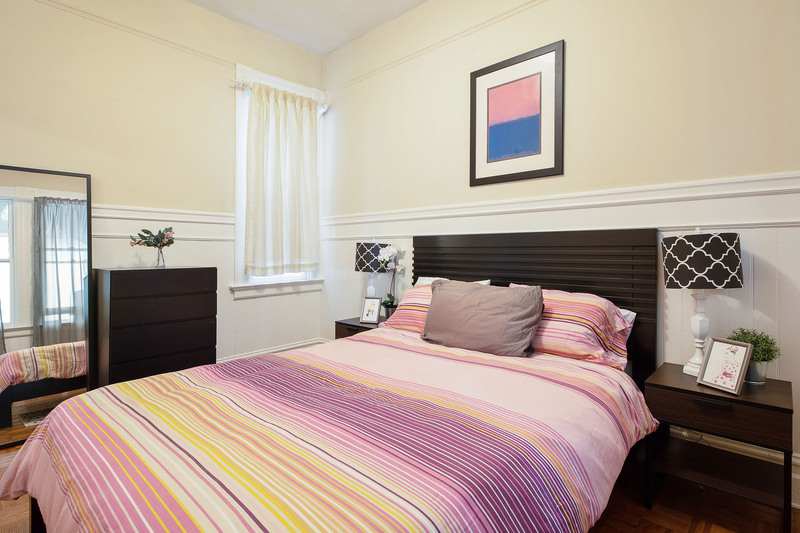 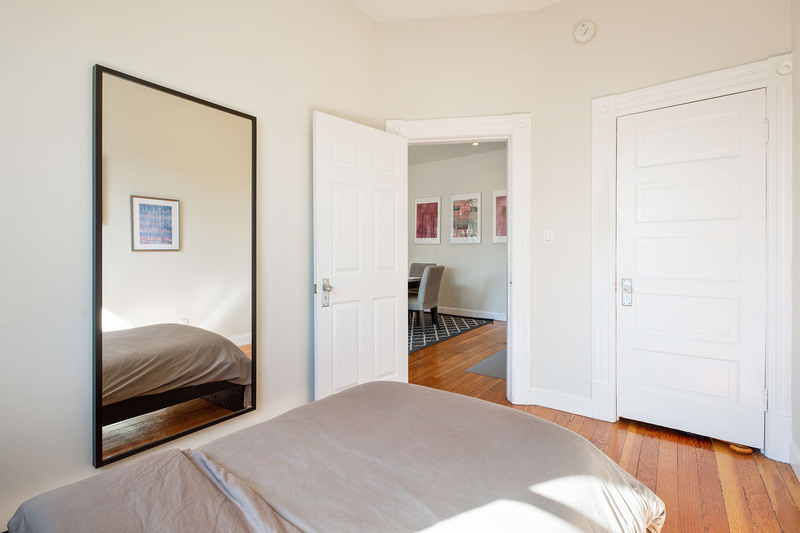 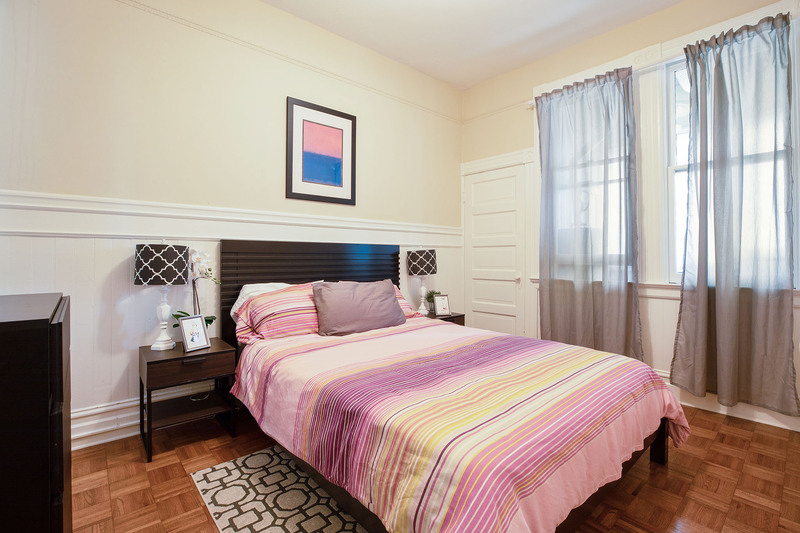 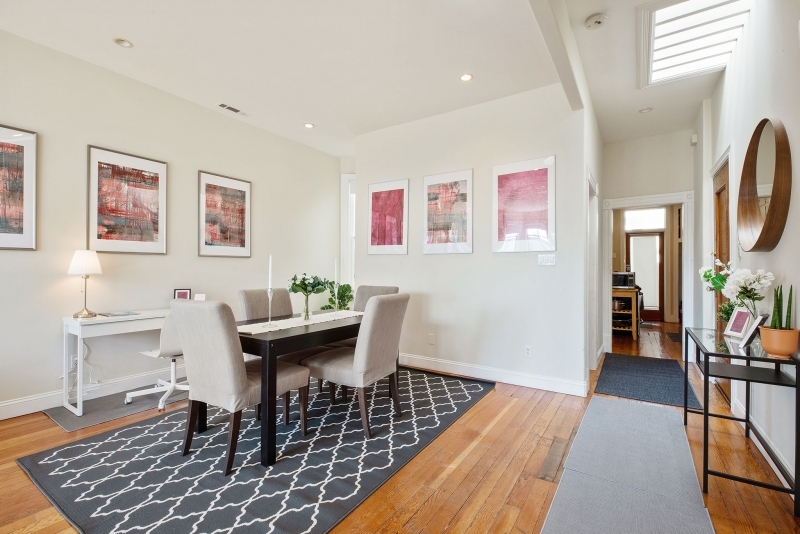 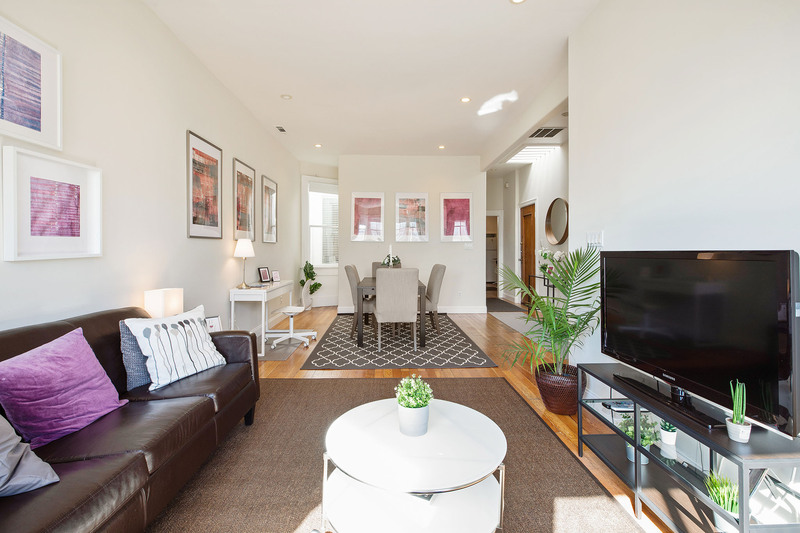 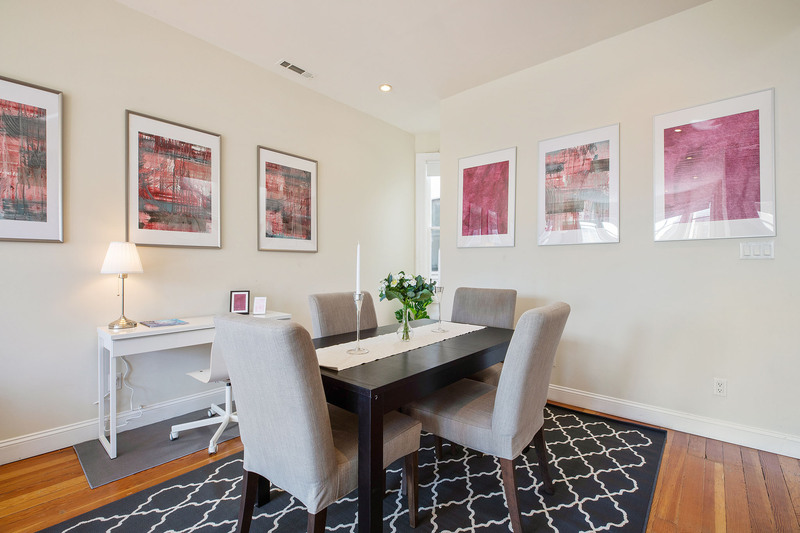 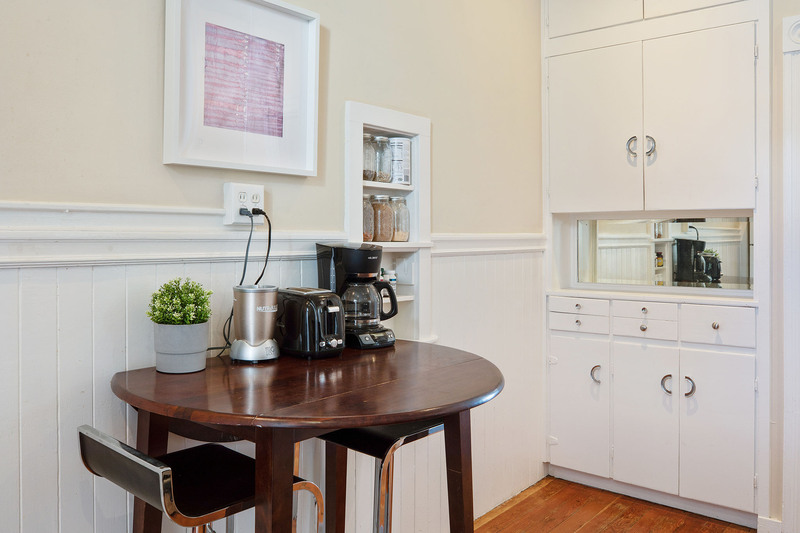 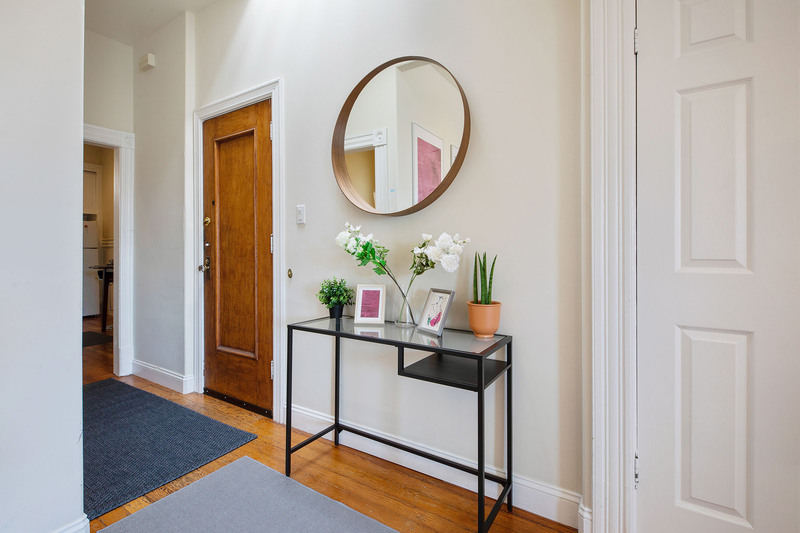 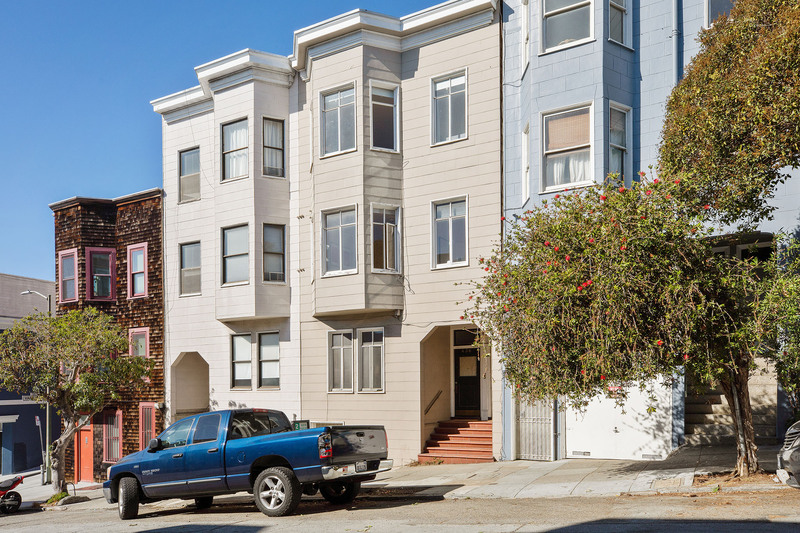 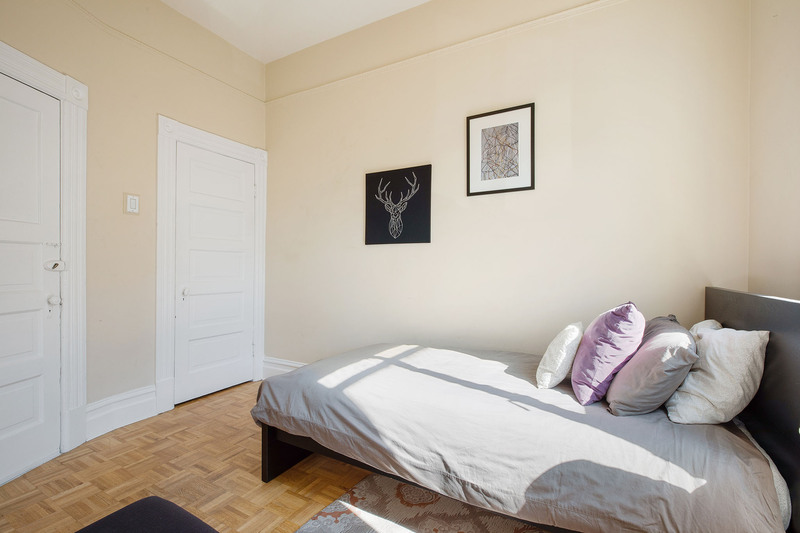 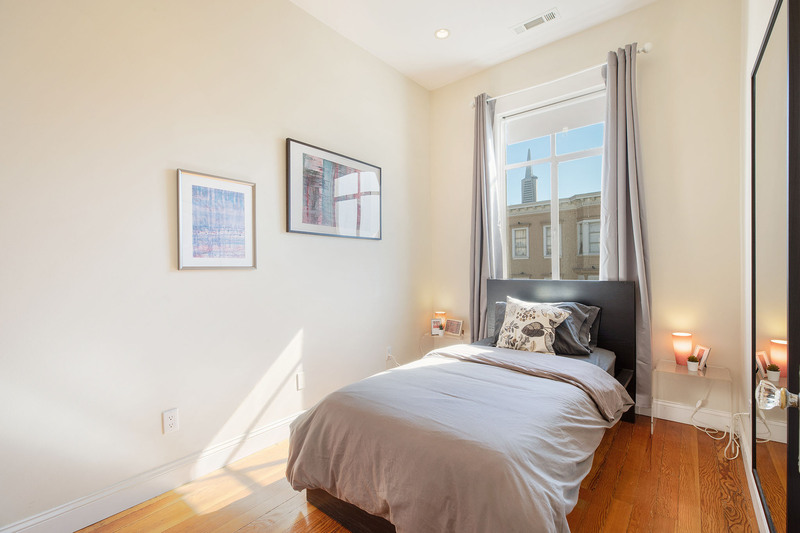 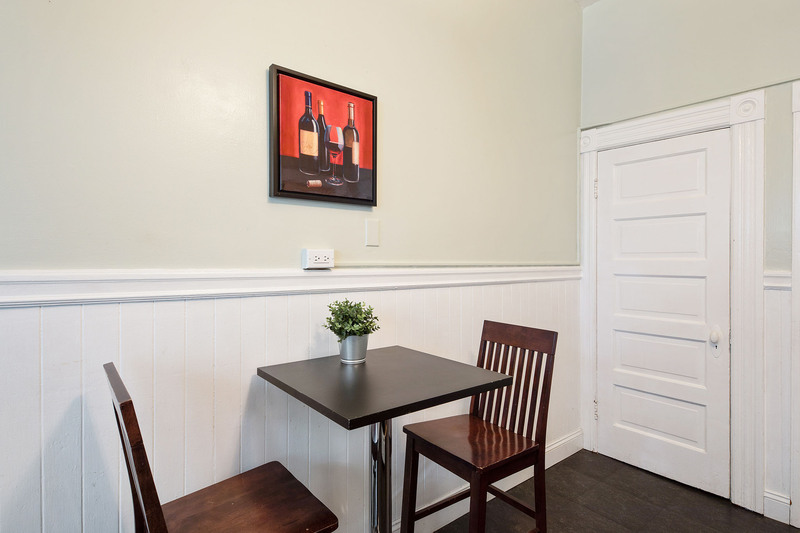 436 Union Street-This classic and charming unit offers two bedrooms and one bath. 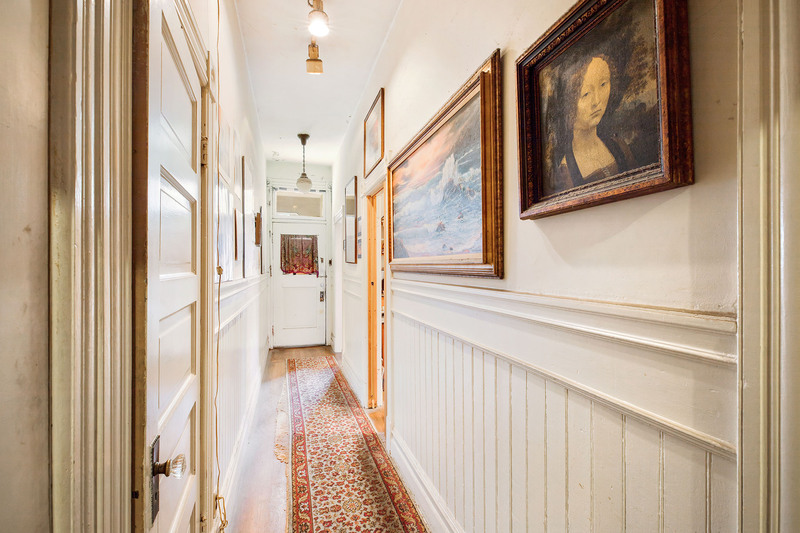 The long hallway leads into the separate and large kitchen. 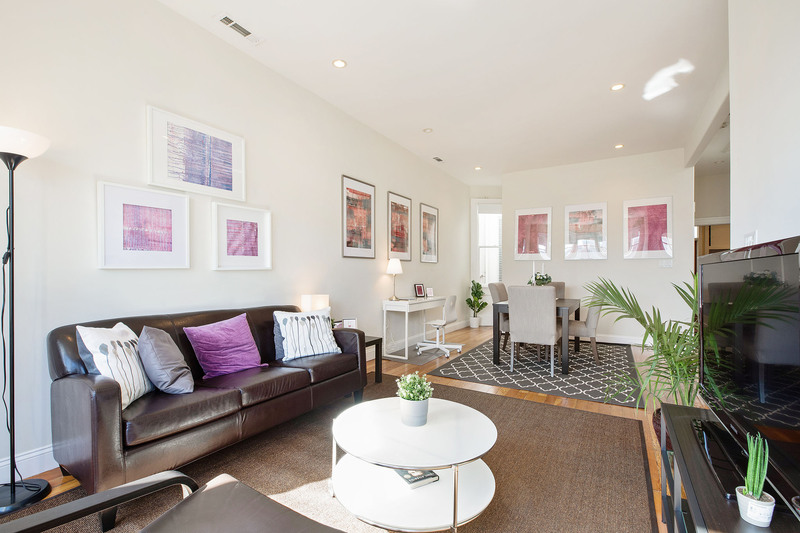 The space offers formal living room, a master bedroom, and a second bedroom that’s being used as an office currently. 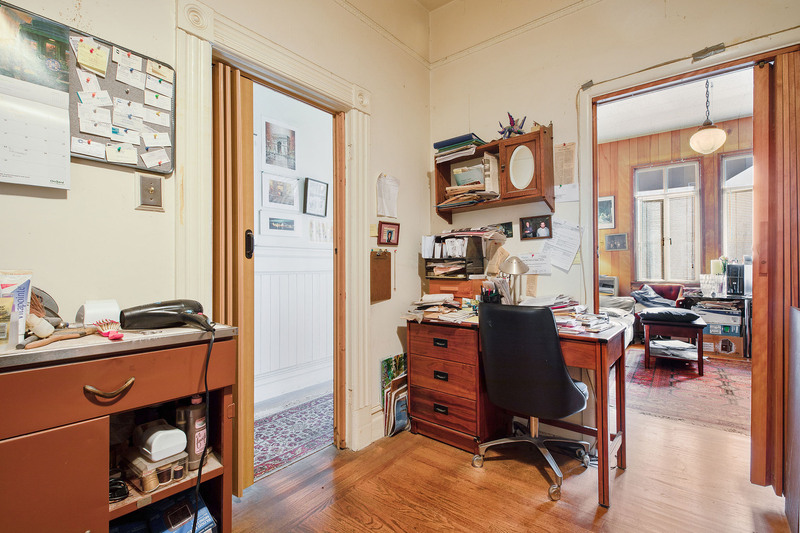 Original hardwood throughout. 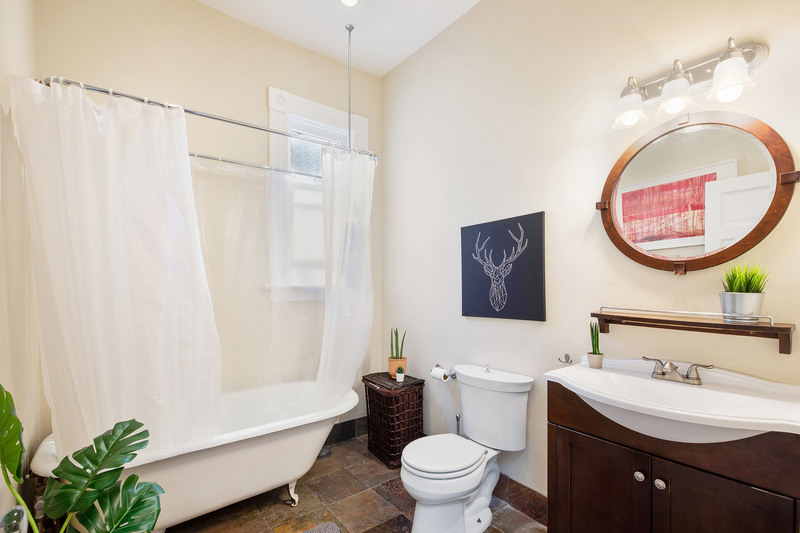 It features abundant natural light and tons of period detail. 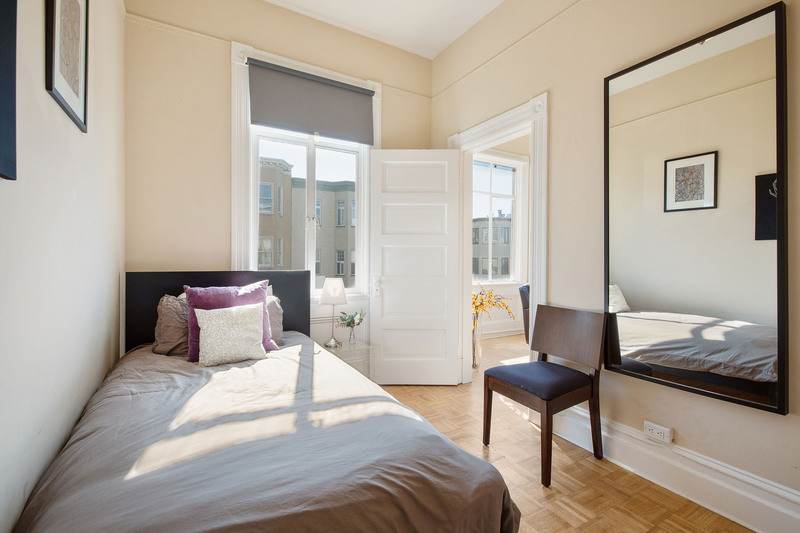 Notes: Market Rent for units are estimates based on rents of comparable properties. 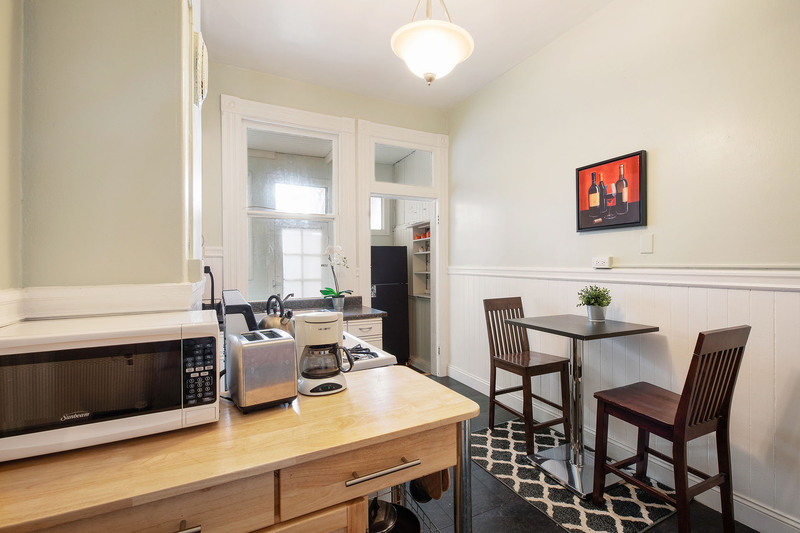 Units 434B and 434A are move-in ready, however they could garner even higher with some unit upgrades (depending on quality of finishes and improvements). 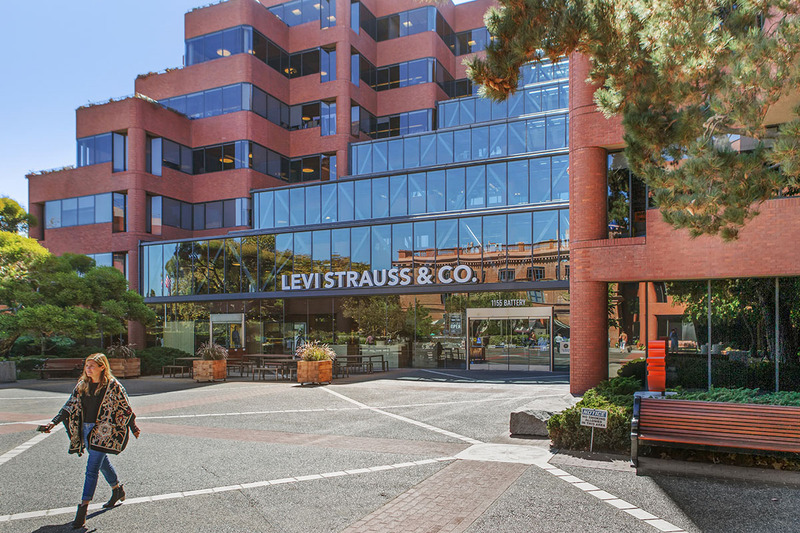 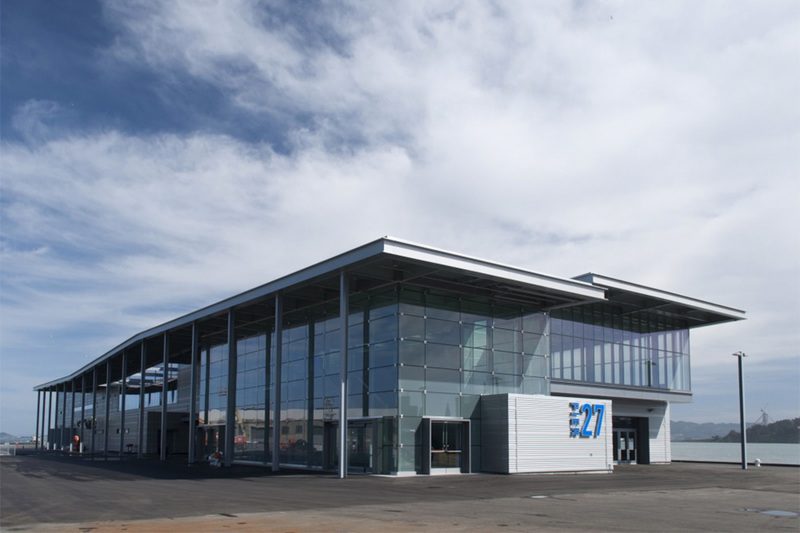 Unit 436 has protected tenant and storage A is currently being used by the owner. 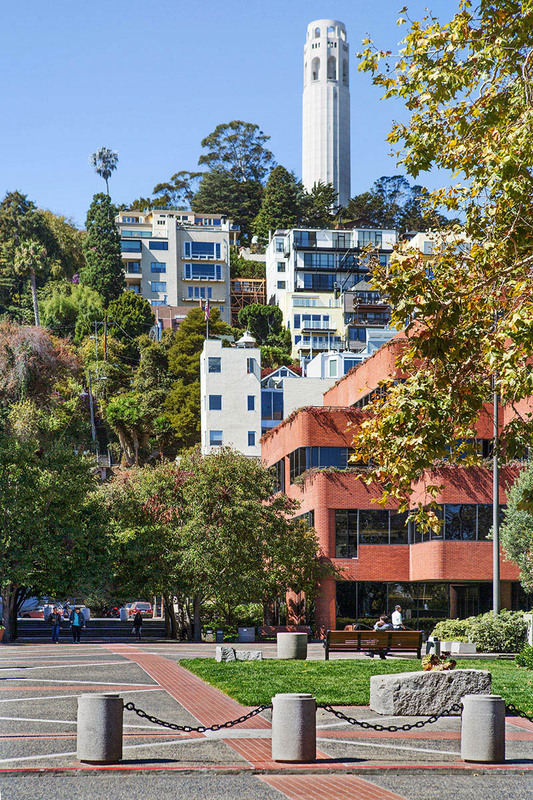 Quintessentially San Francisco, Telegraph Hill overlooks the ceaseless activity along the city’s waterfront. 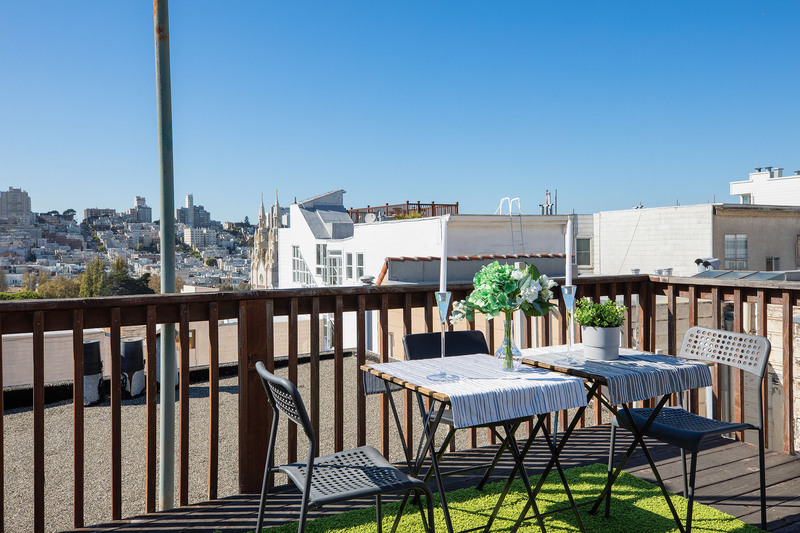 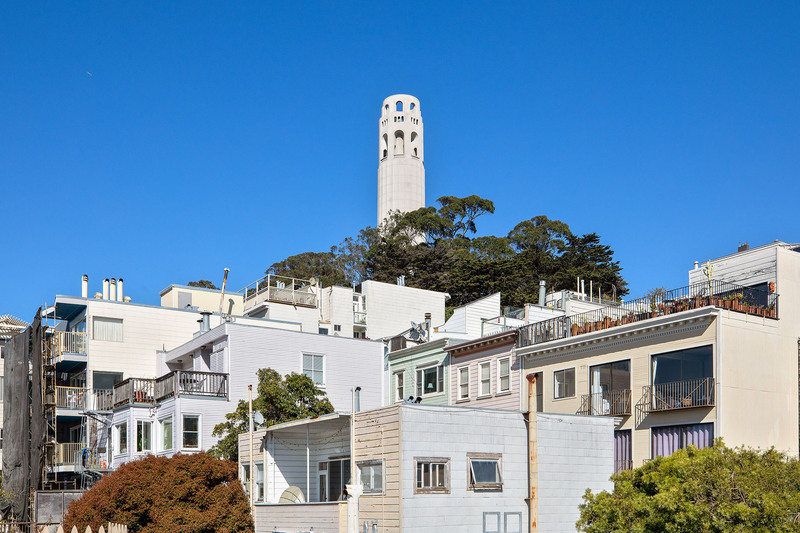 This picturesque neighborhood’s immaculate homes preside over its hillsides at the foot of the iconic Coit Tower—a classic San Francisco structure boasting spectacular views of the bay. 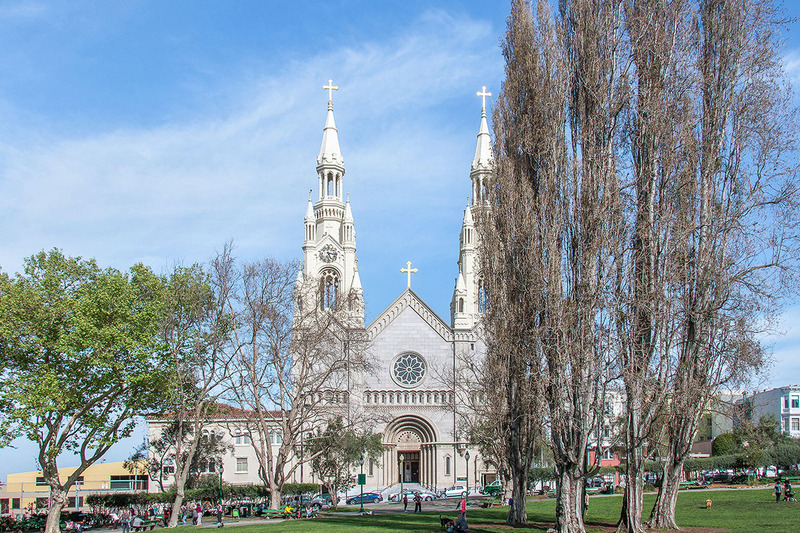 Exploring this soaring neighborhood usually requires an uphill hike, but its stunning architecture, hidden staircases, and the chance to glimpse its flock of wild parrots (really!) 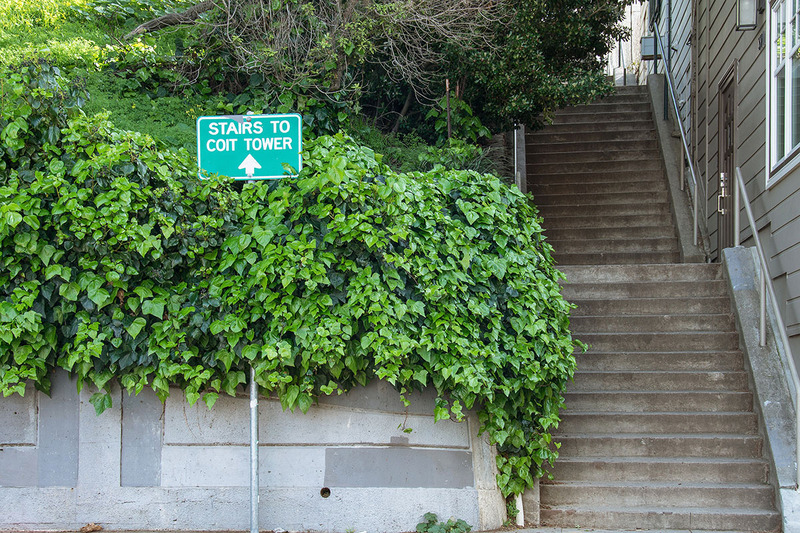 make the trek worth it. 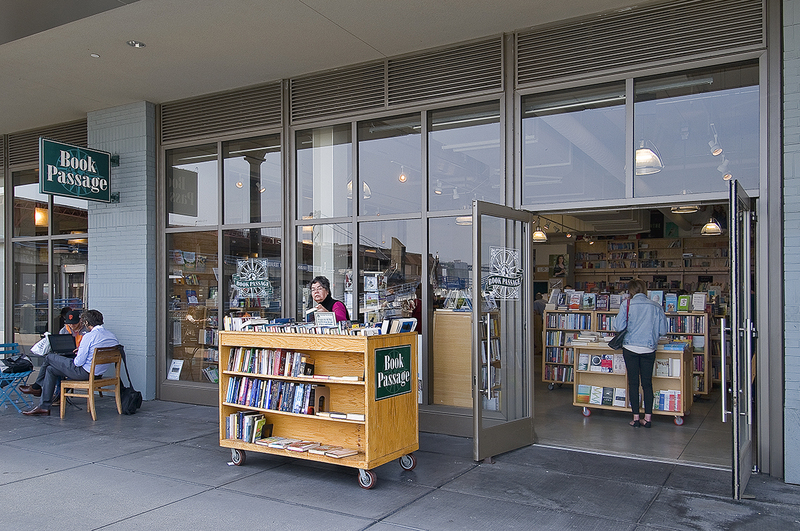 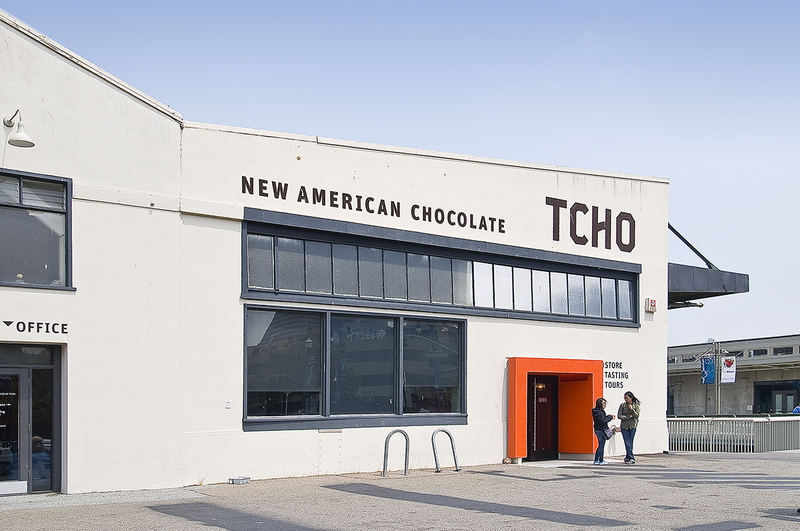 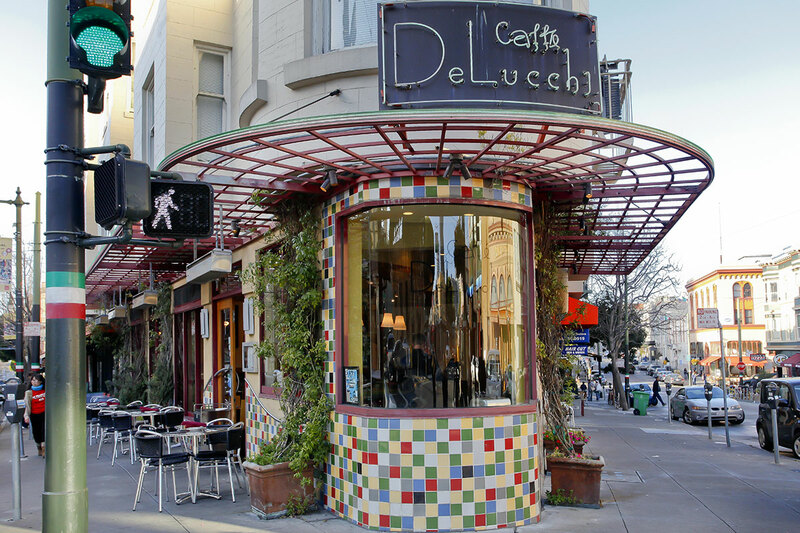 At the center of any description of San Francisco you'll find North Beach. 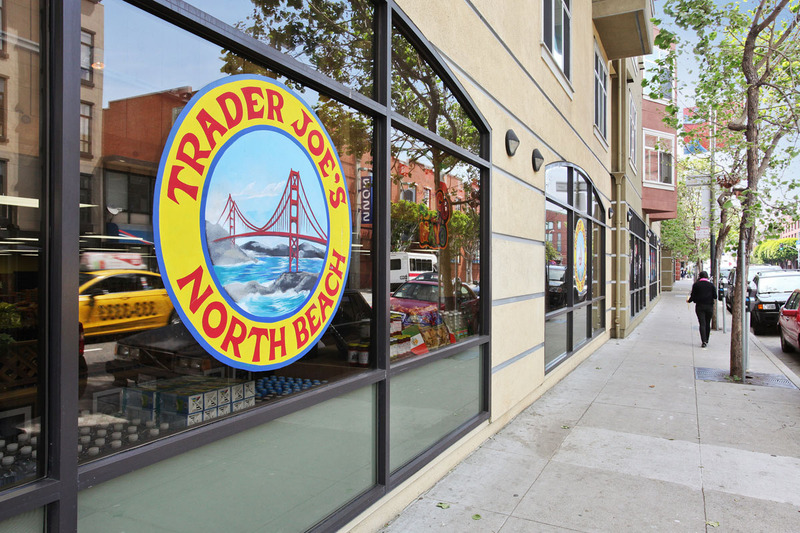 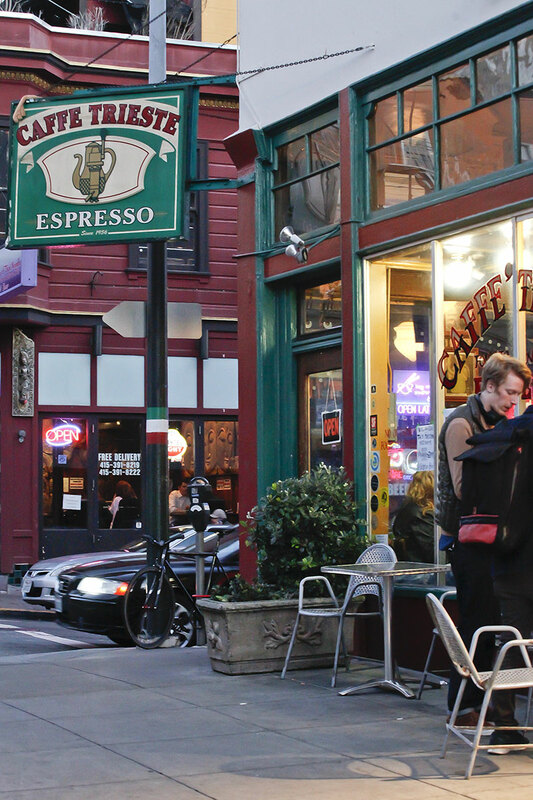 Beginning at the juncture of Broadway and Columbus, North Beach spreads north to the bay, and down to Telegraph Hill. 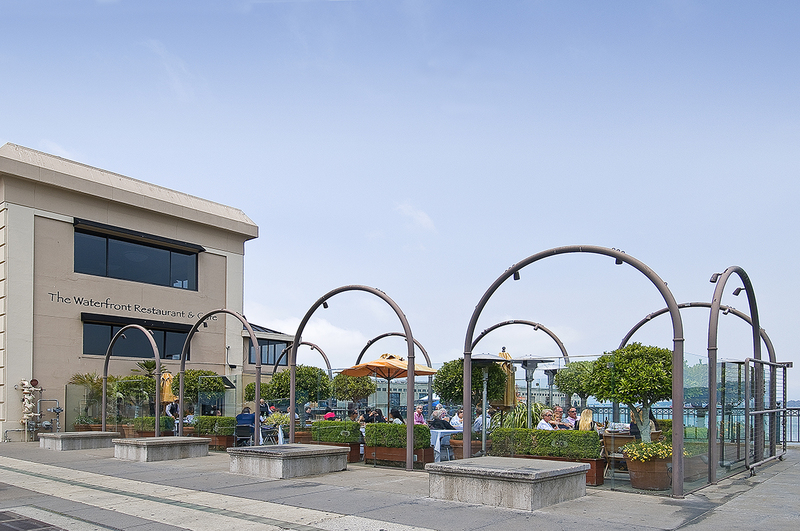 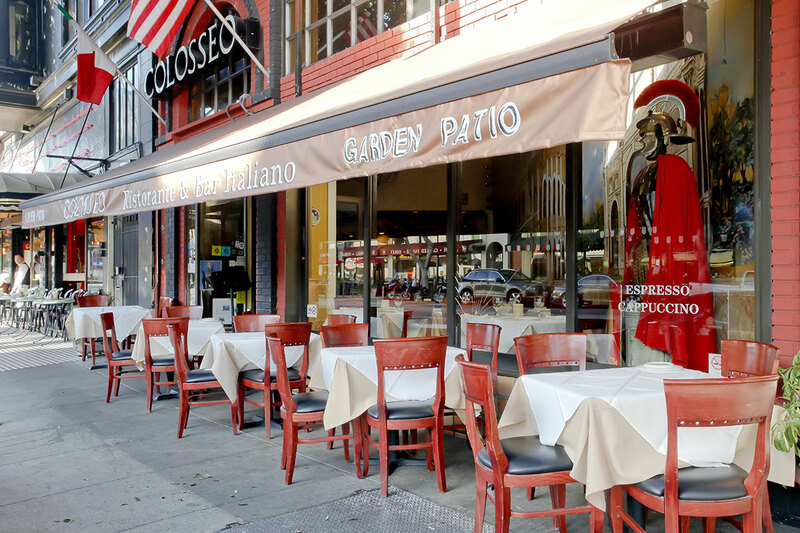 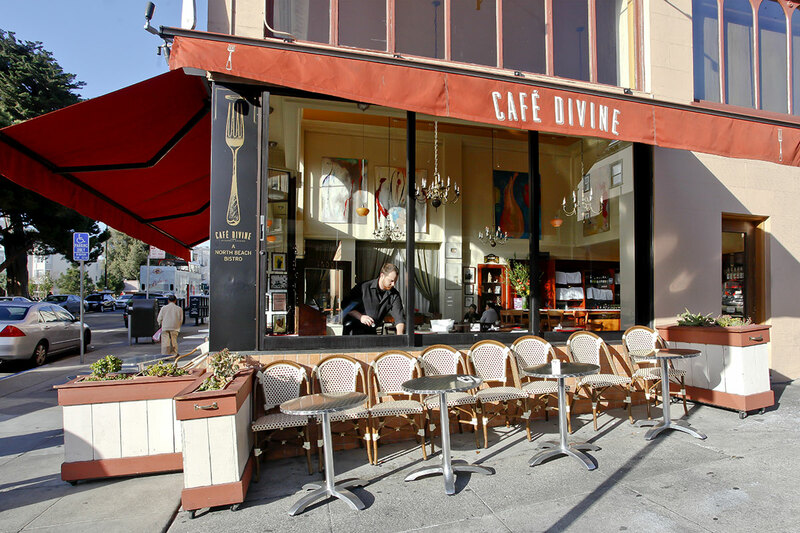 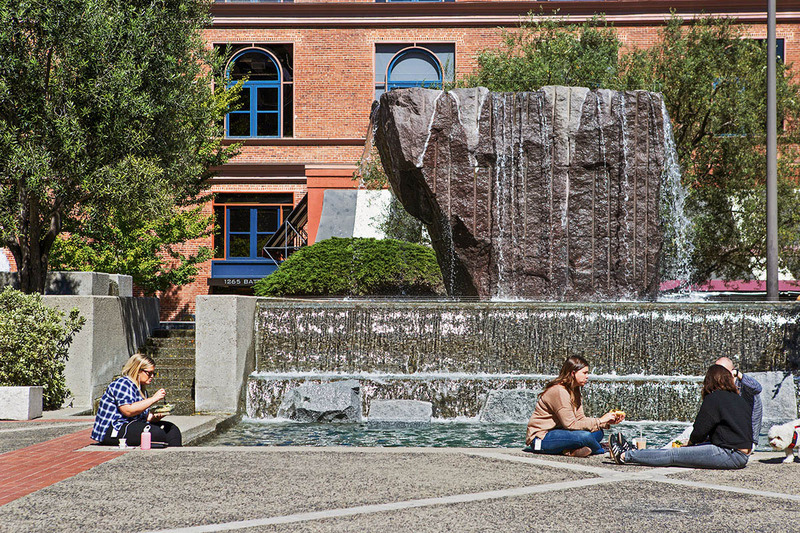 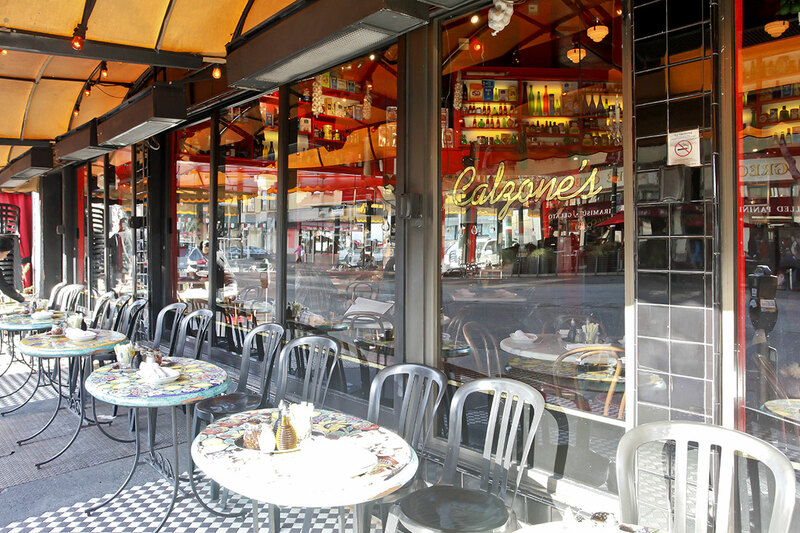 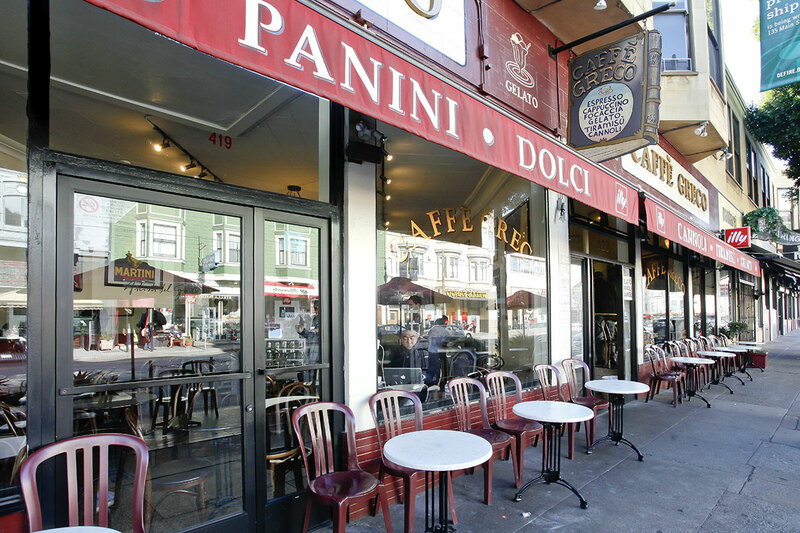 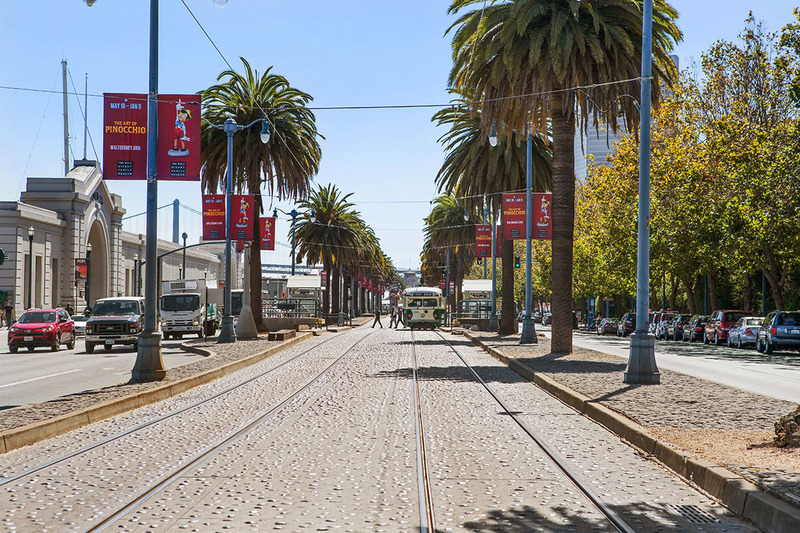 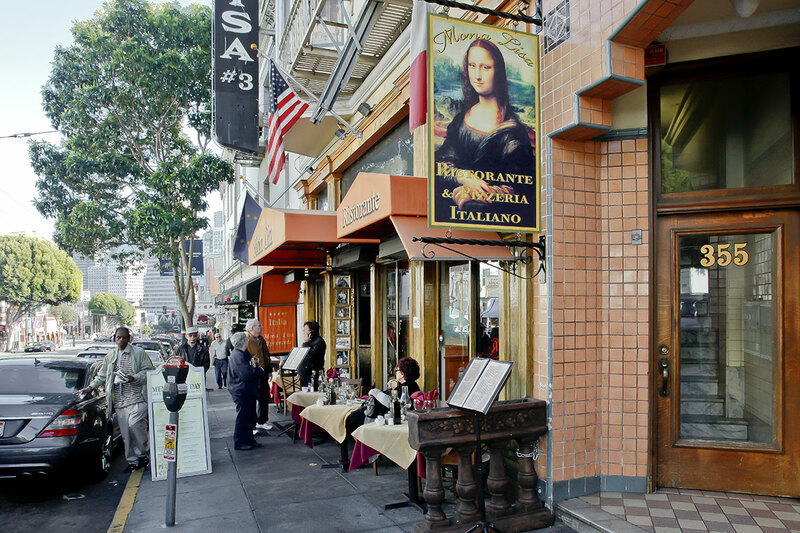 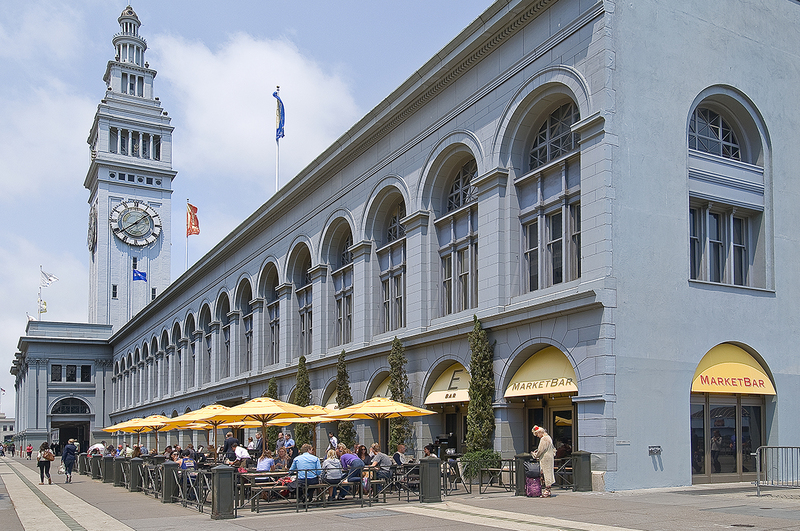 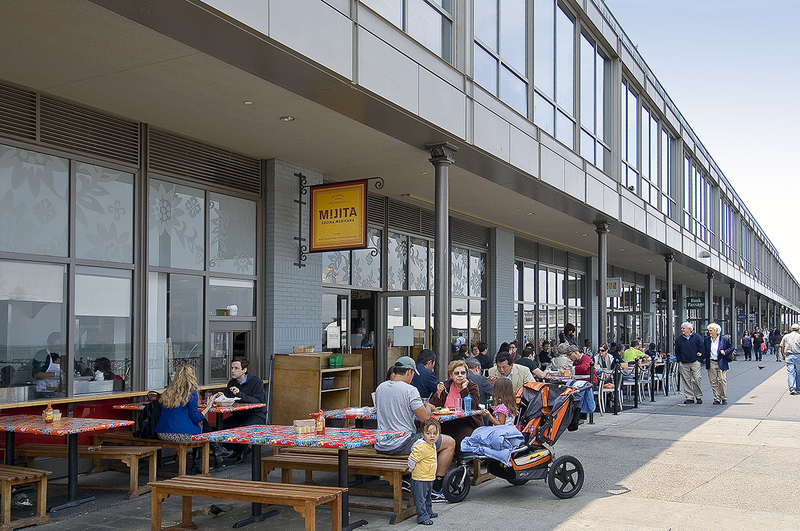 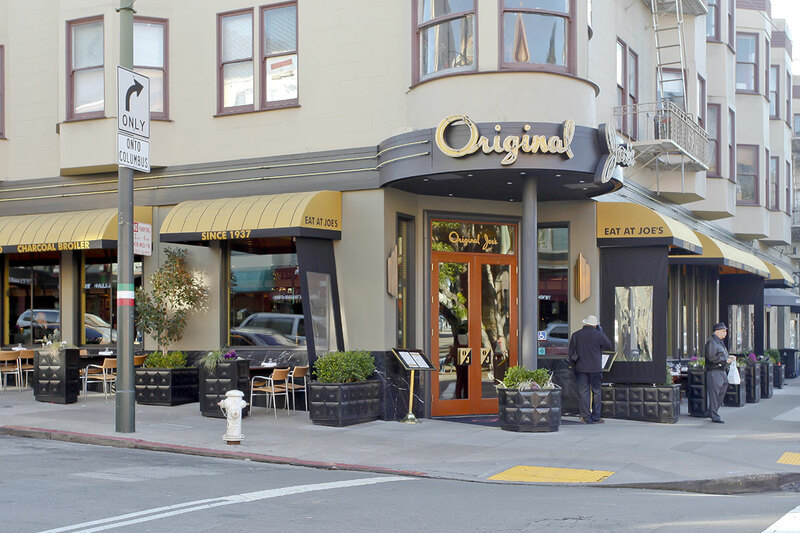 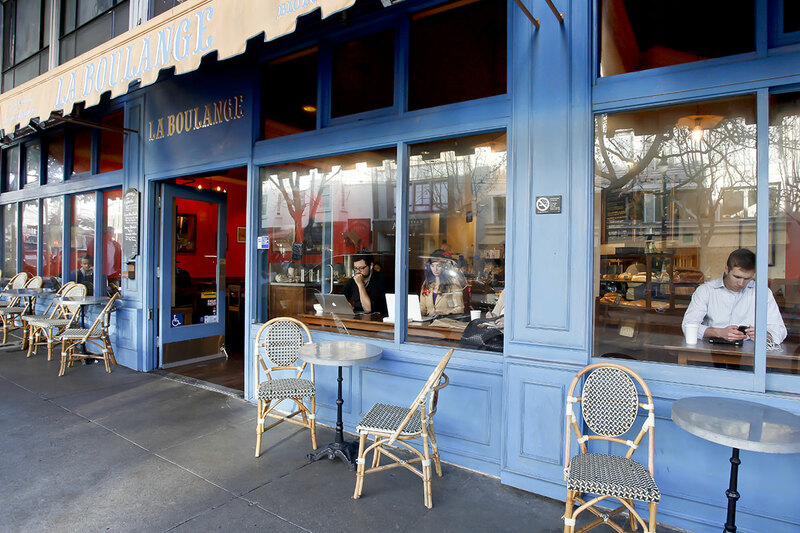 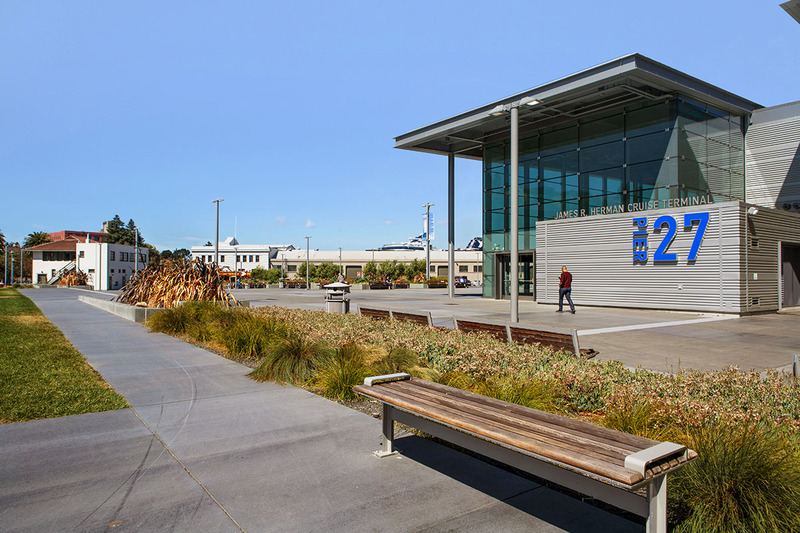 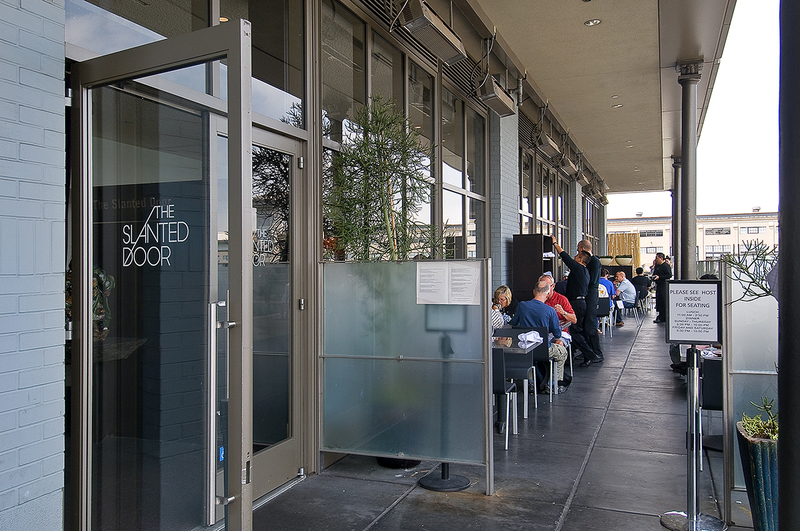 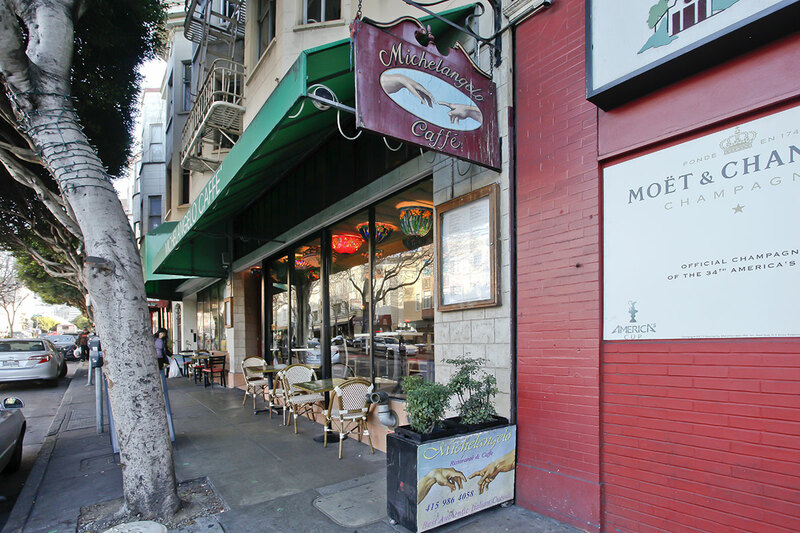 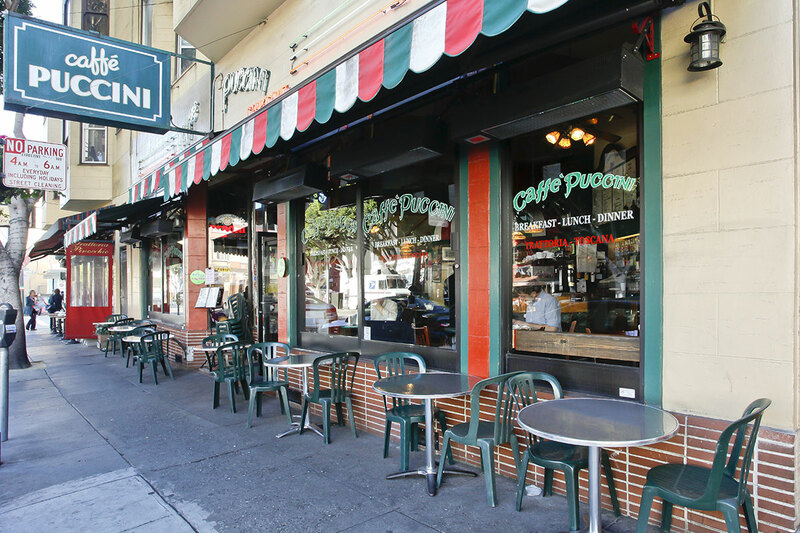 This most authentic San Francisco district is home to a vibrant Italian-American community. 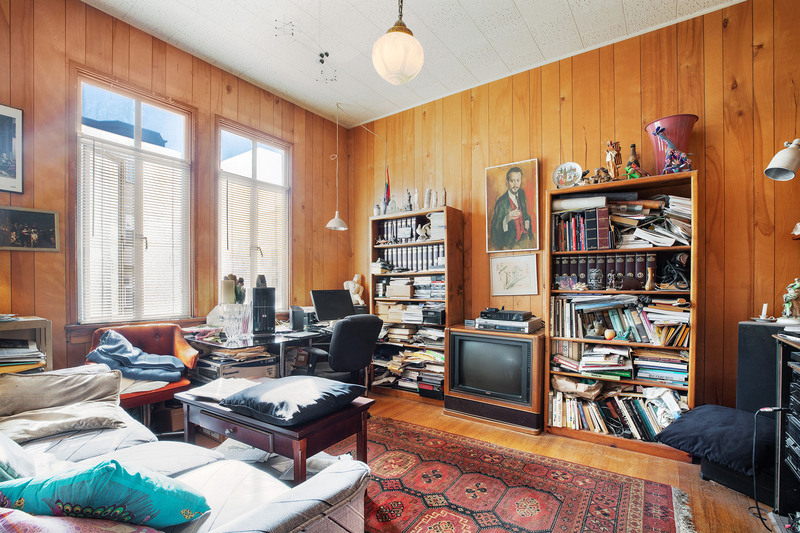 It also has the distinction of being the spiritual home of the beat poets who rose to fame in the 50s and 60s. 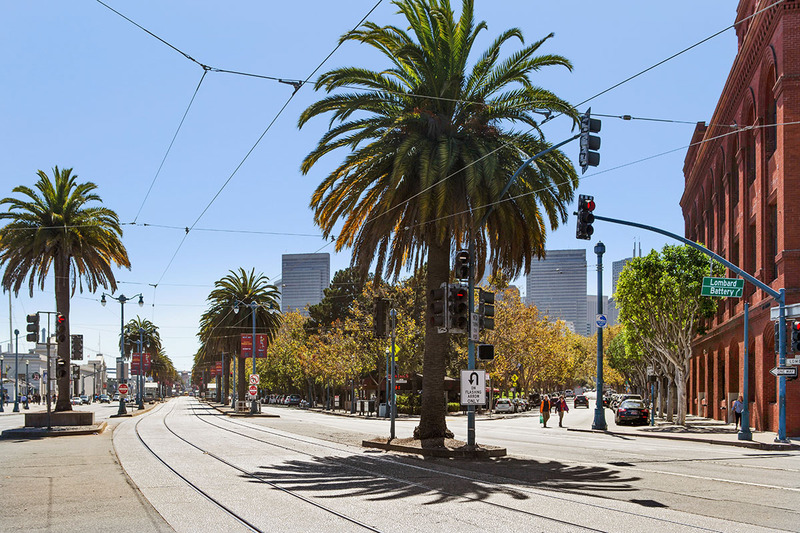 This exciting stretch of city brings a devil-may-care attitude to city life. 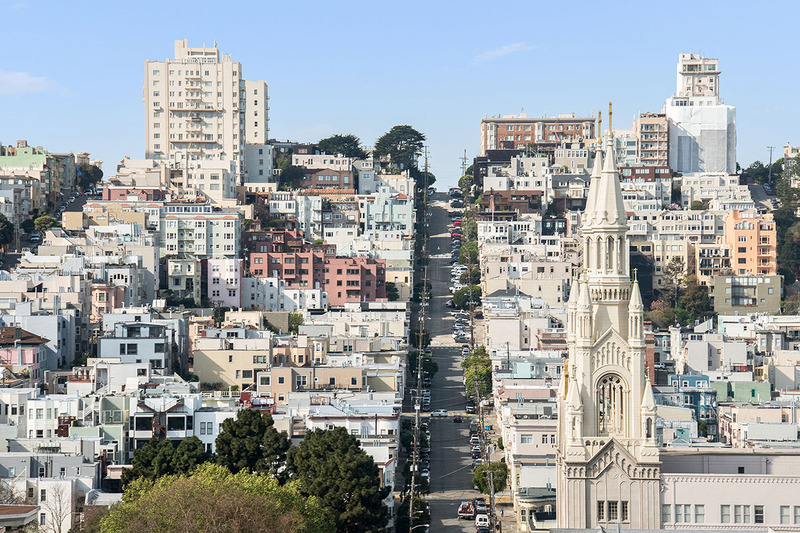 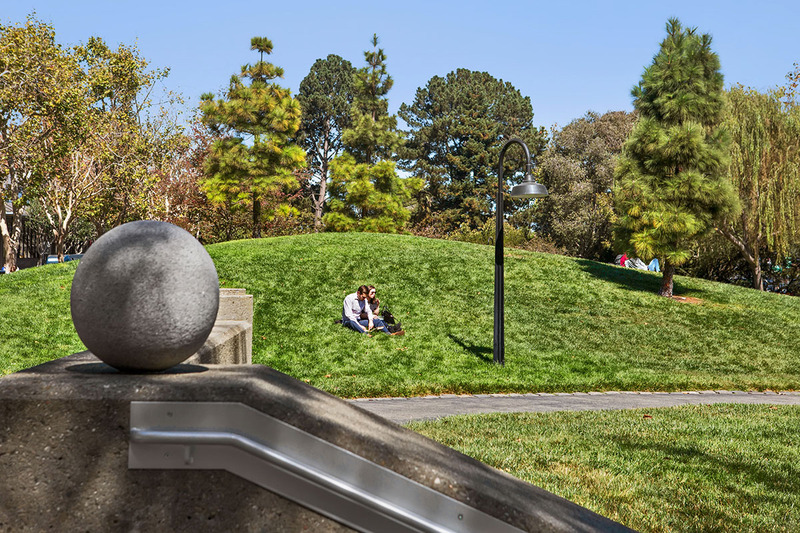 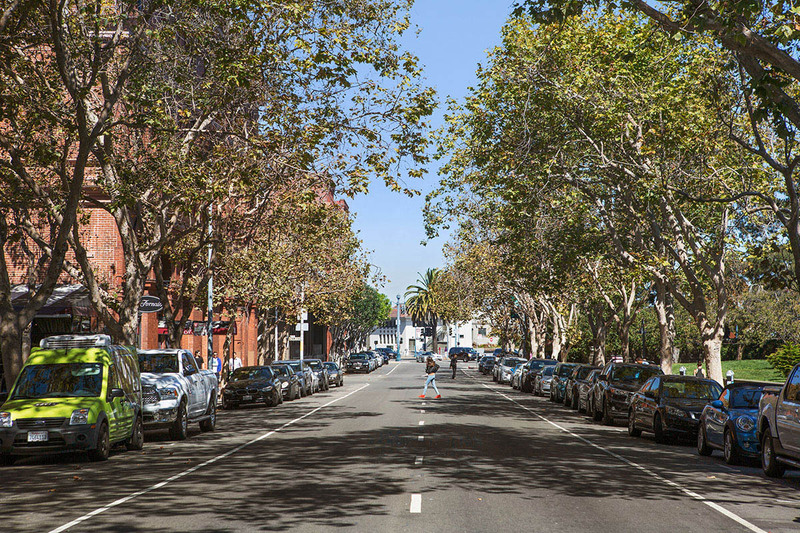 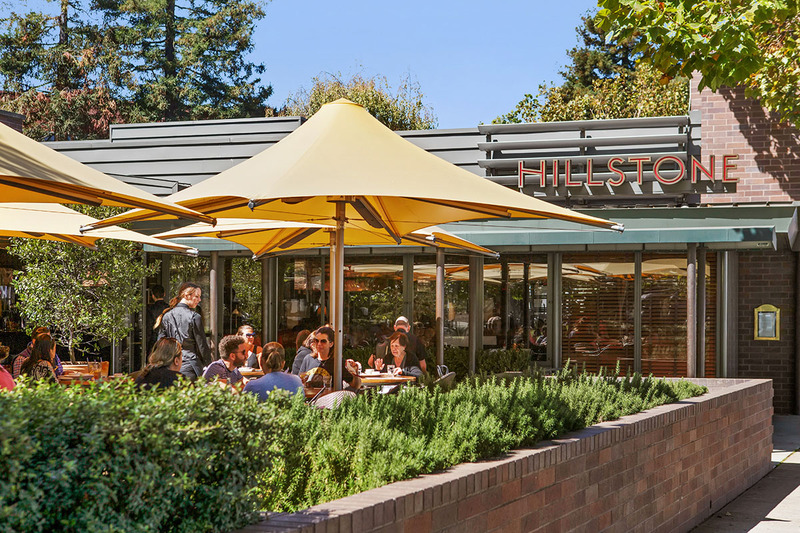 While tourists thumbing their guidebooks mix with frat house style revelers each weekend, the real North Beach, and those who call it home, exists in the delightful hillside streets surrounding. 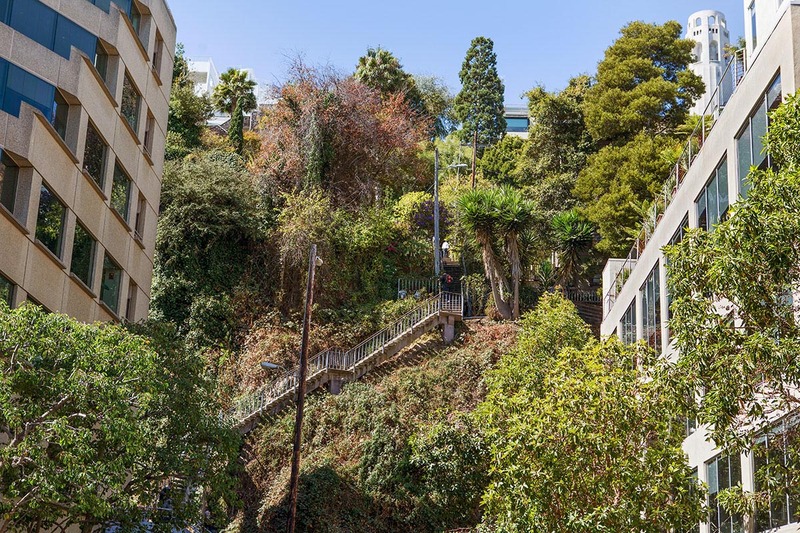 Those lucky enough to live here, enjoy evening's awe-inspiring views from hilltop patios in the rows of exquisite family homes that line the elevated blocks. 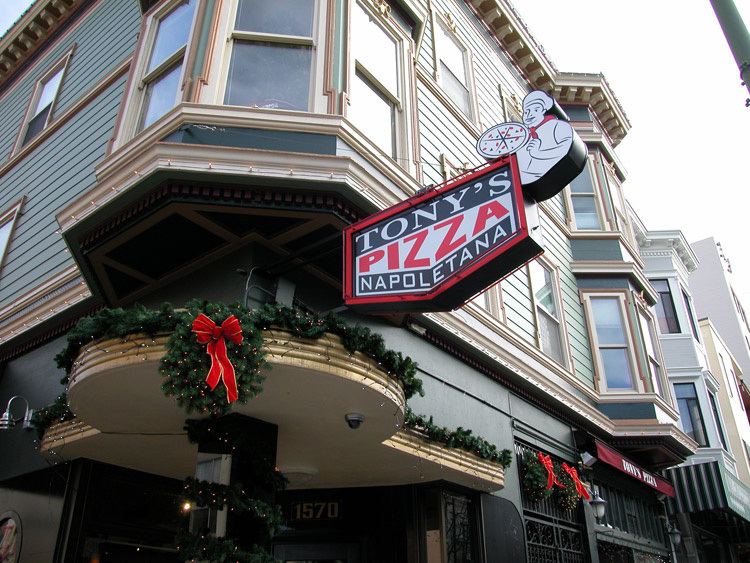 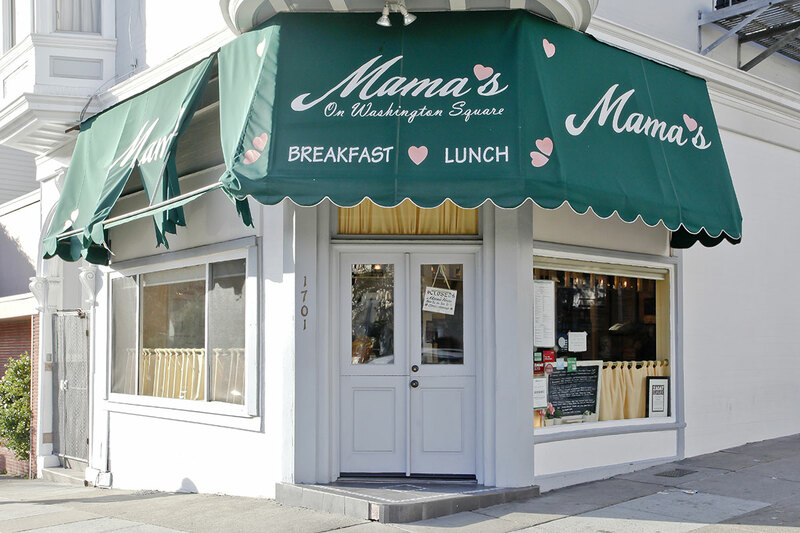 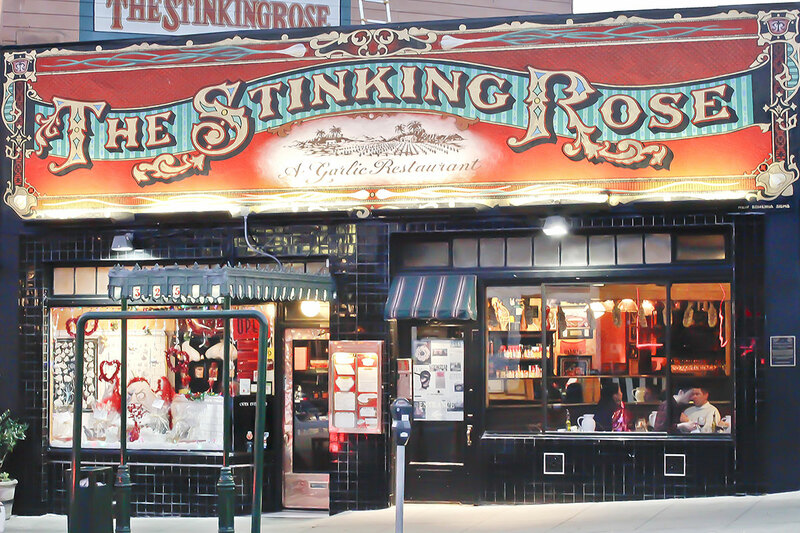 It's in the dimly lit old-fashioned neighborhood haunts where one can still find the authentic life of North Beach. 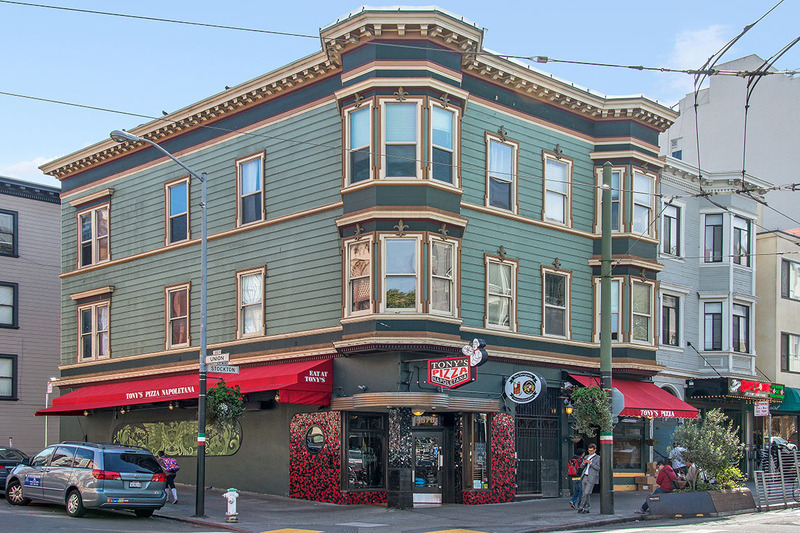 City Lights, the infamous rebel poet bookstore, is where Alan Ginsgerg's HOWL was first published. 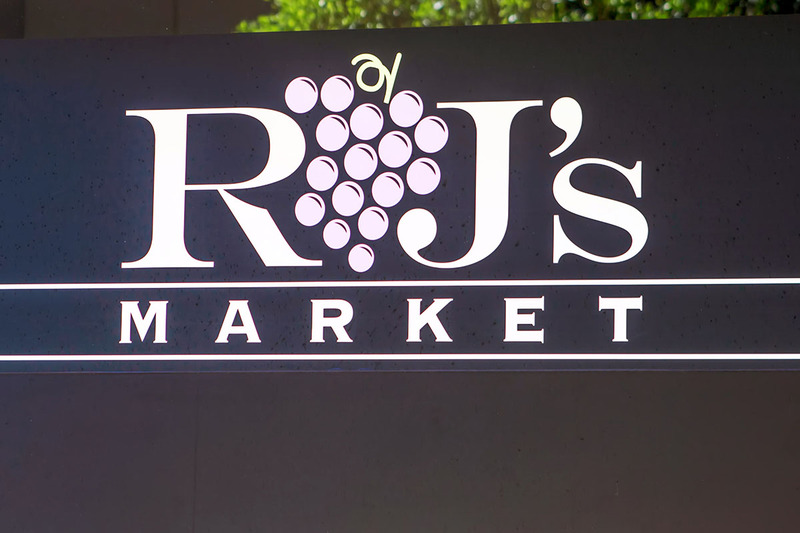 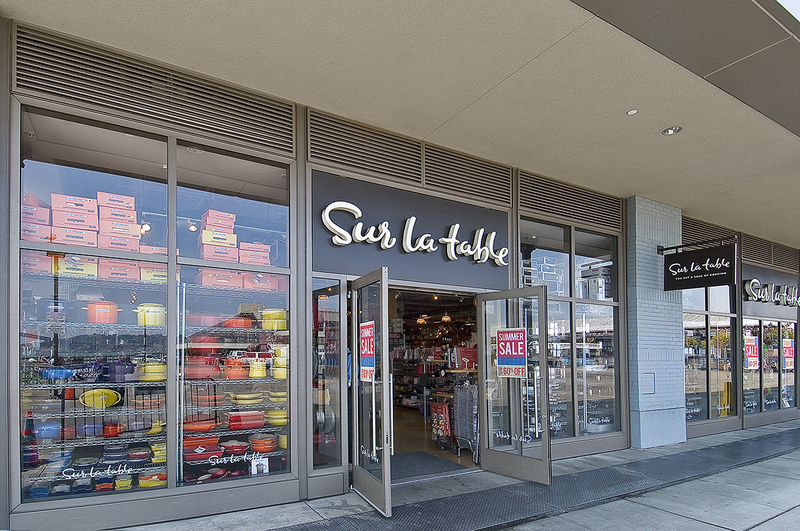 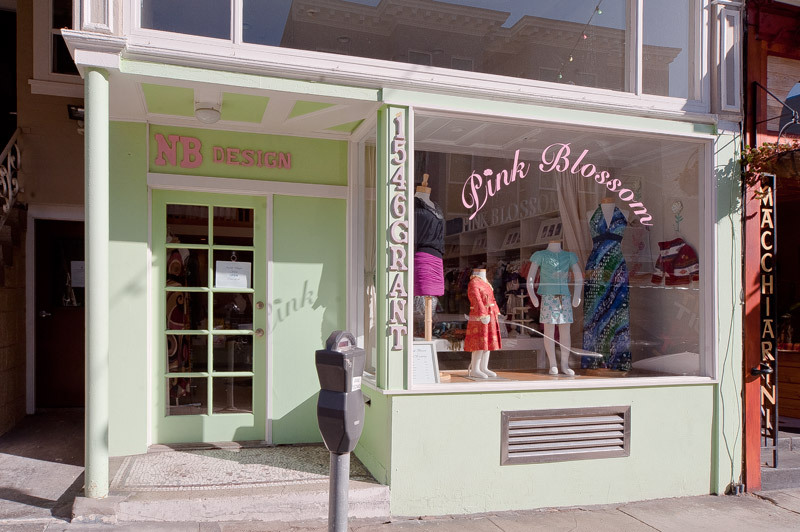 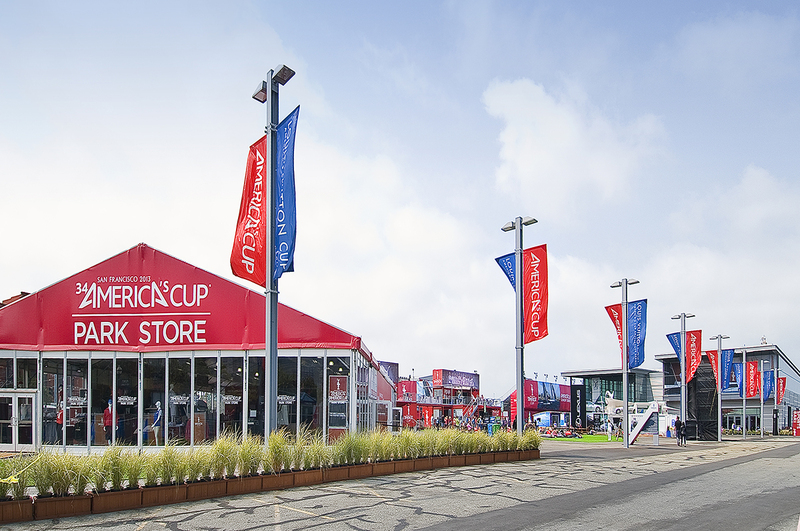 Some of the most extraordinary shopping in the city can be done along Grant Street in the upscale boutiques. 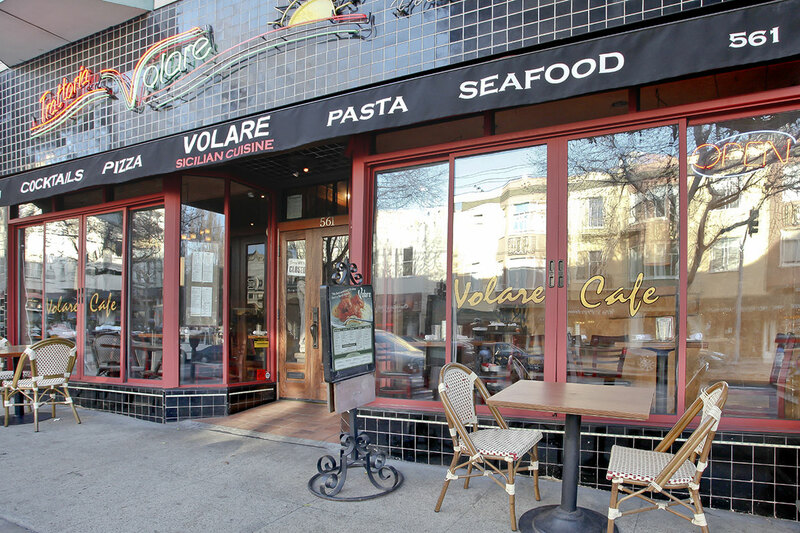 And above all, don't miss your chance to have some of the best Italian food this side of the Amalfi Coast. 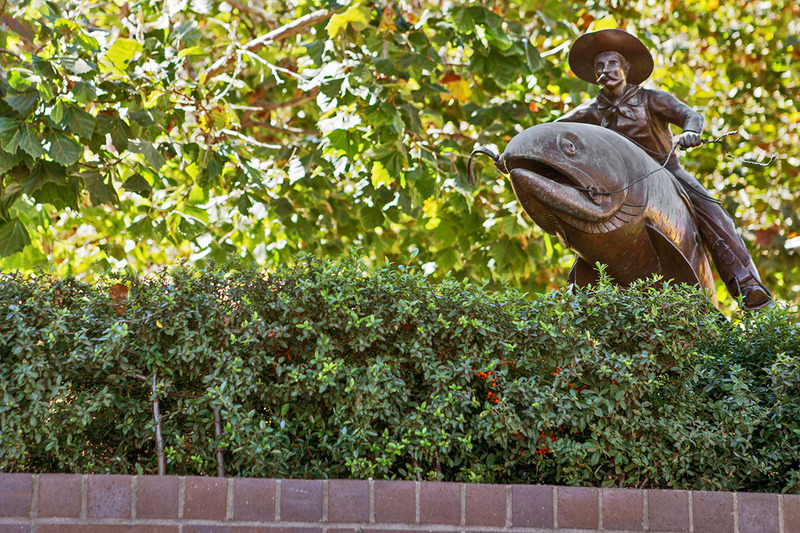 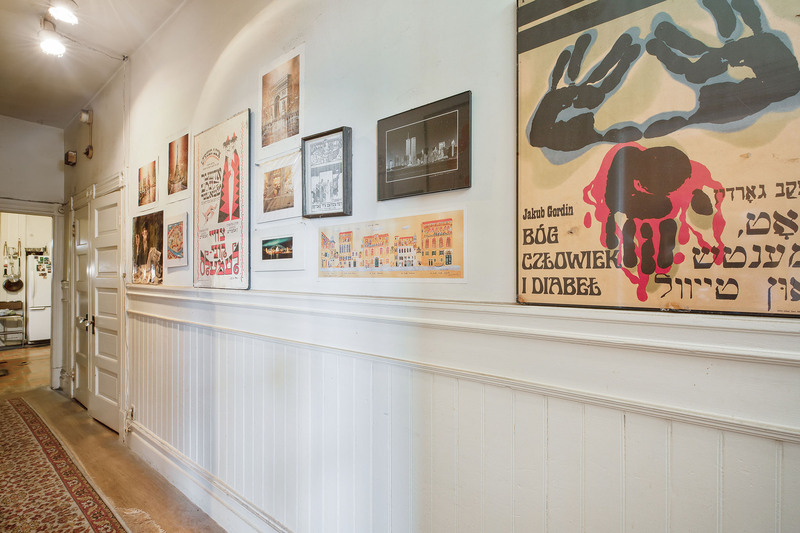 A remarkable dining opportunity at your fingertips thanks to a history of immigrants who made this area home in the 1920's and 30s. 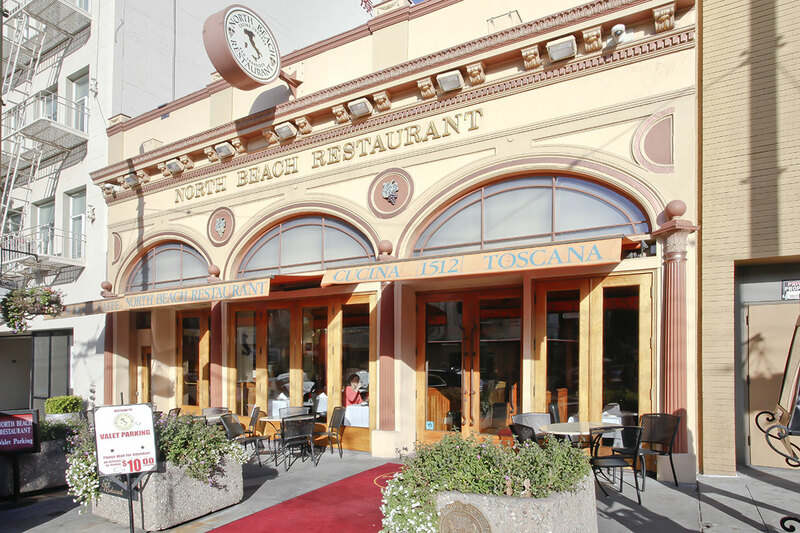 The "beach" in North Beach is no longer there. 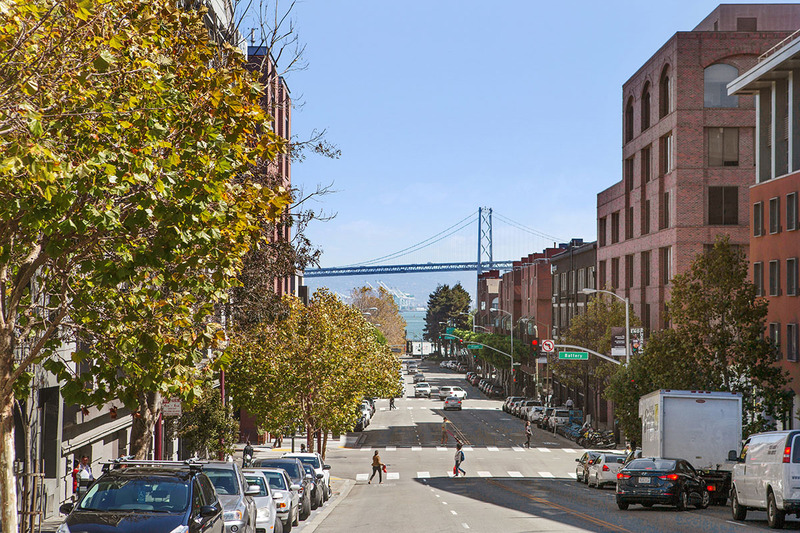 There was a time where the tides of the bay lapped up against Taylor and Francisco Street. 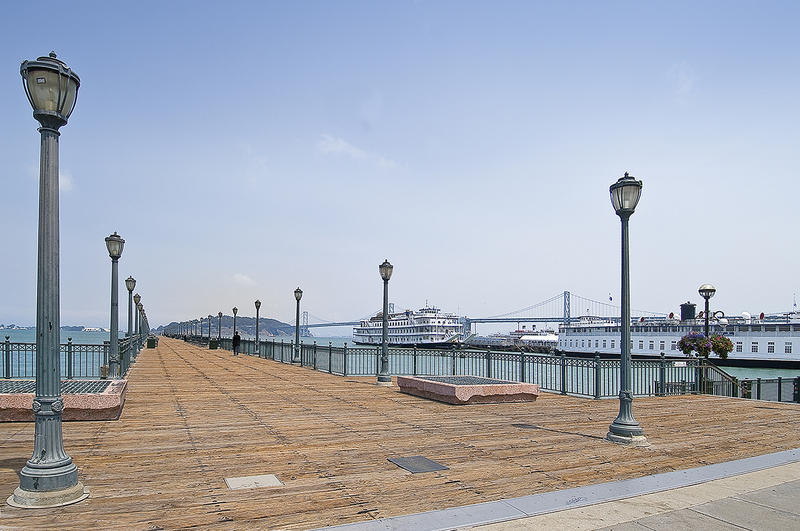 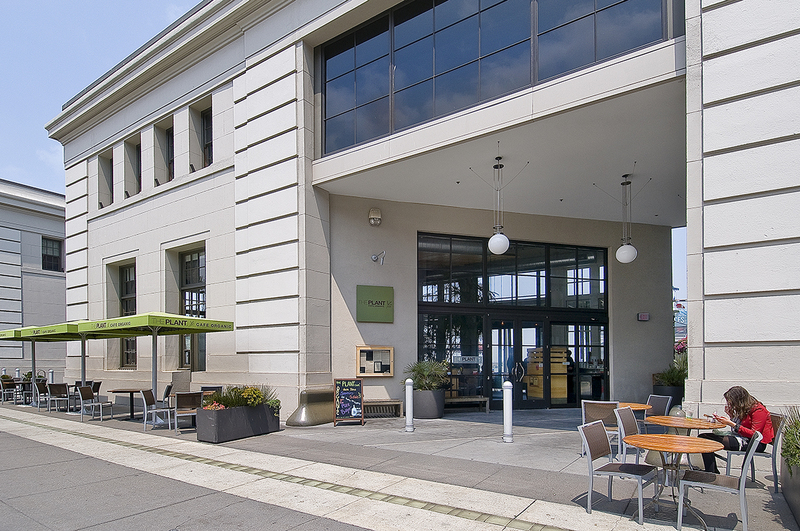 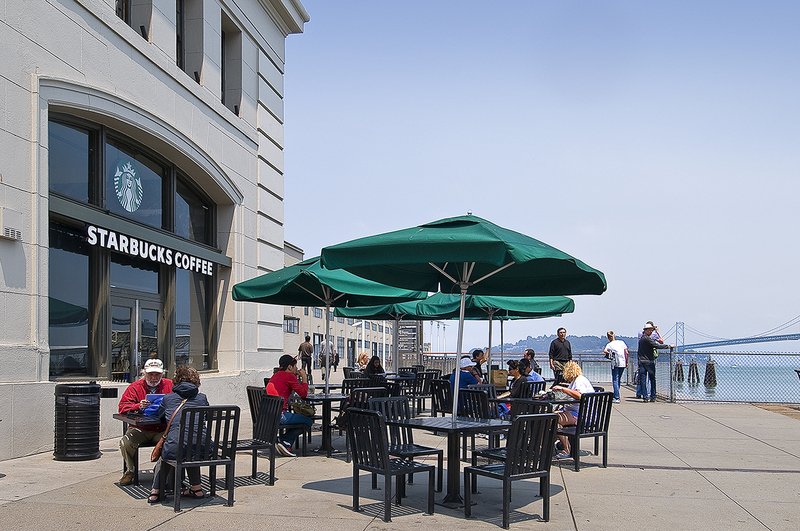 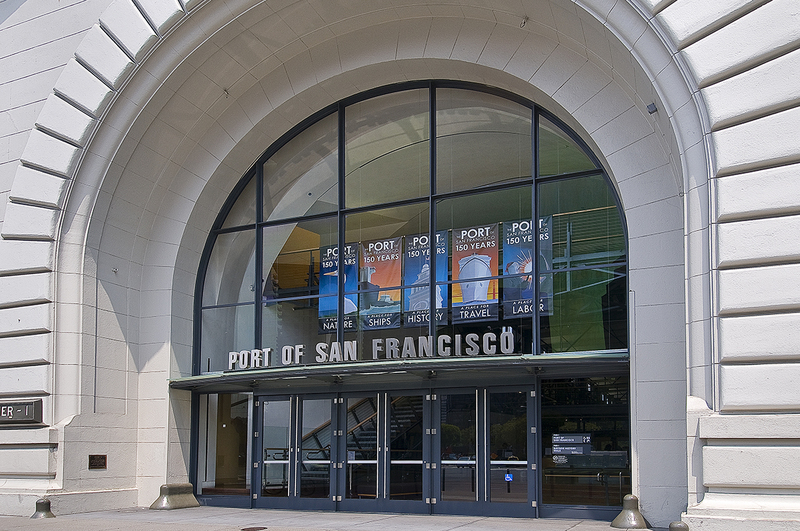 Today that waterfront has long since been replaced by 19th century landfill, known now as the Barbary Coast.